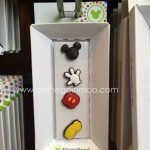 I hope that you enjoy our trip to Goofy’s Candy Company in Downtown Disney’s Marketplace! 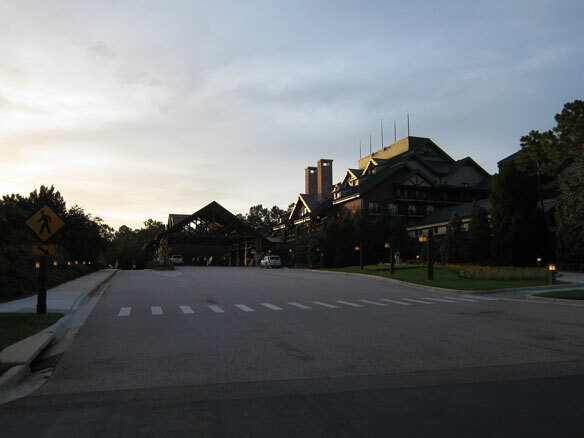 When someone asks me what I love most about Disney’s Wilderness Lodge, I almost always answer with the way it transports me to a different time and place. Part of what vacation is to me is that escapism. 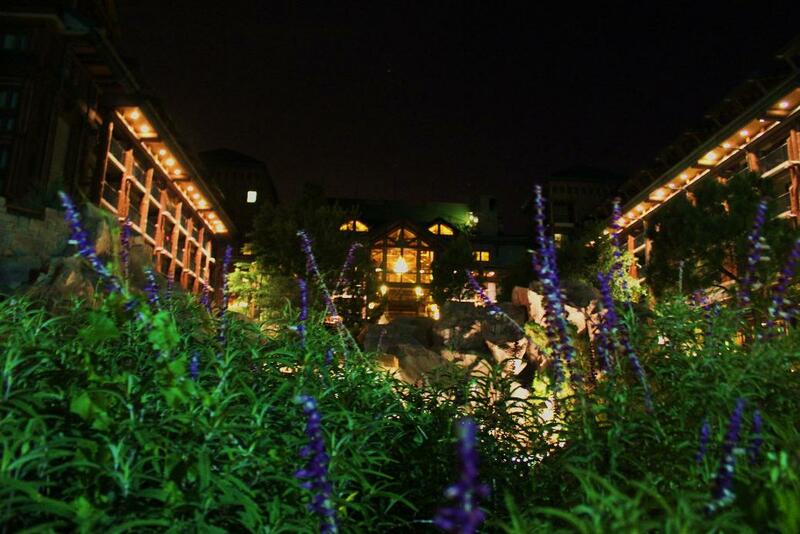 I live here in Florida and to me, the Wilderness Lodge is the Walt Disney World resort that most makes me feel like I am in a completely different place. Maybe it is partially because I’ve never been to the Pacific Northwest and this may just be a respectable facsimile of the real thing, but I’d never know any better. 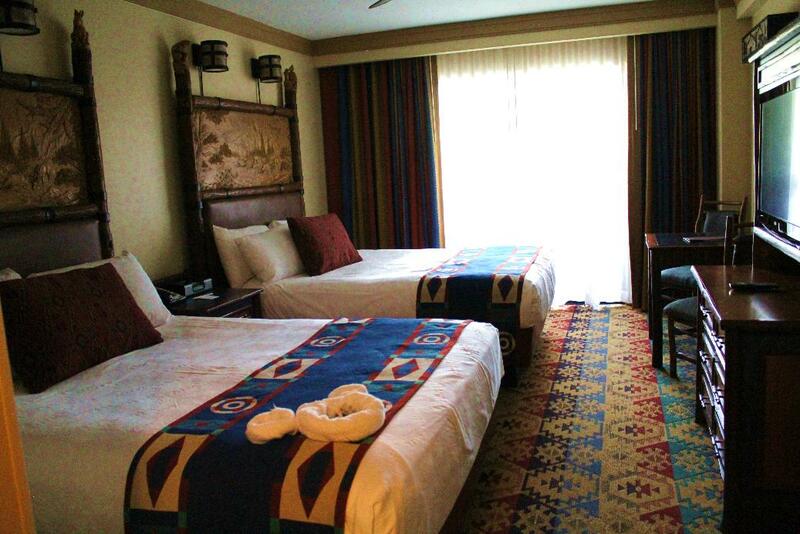 To me, this resort epitomizes that portion of the country. It speaks of adventure in its cavernous lobby, dramatic background music, and lush non-tropical surroundings. 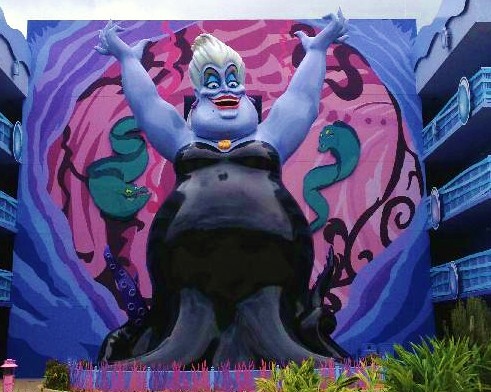 I heard someone say a while back that the resorts around the Magic Kingdom were loosely themed around lands of the park. 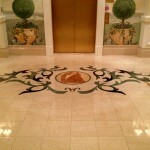 The Grand Floridian correlates to the Victorian stylings of Main Street USA, the Polynesian is modeled after the tropical themes of Adventureland, the Contemporary reflects the clean modern lines of Tomorrowland, and Fort Wilderness and the Wilderness Lodge exude the rustic spirit of Frontierland. One can absolutely see the parallels between the western feel of Big Thunder Mountain Railroad (the wildest ride in the WILDERNESS!!!) and the Wilderness Lodge. 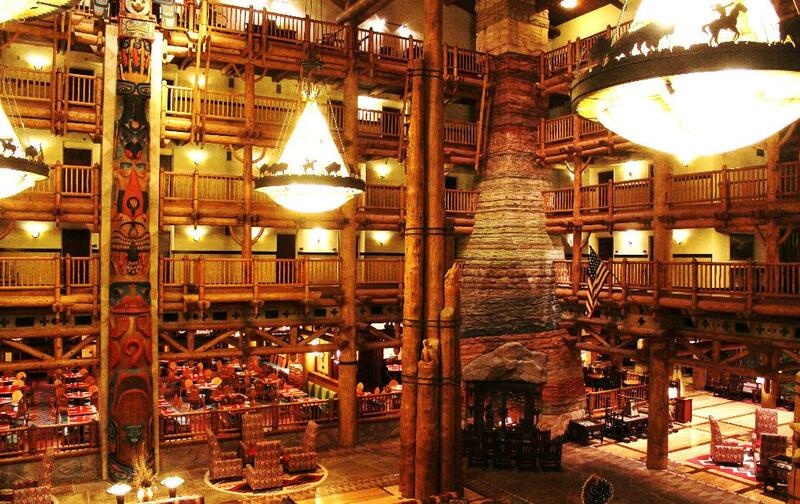 From the rockwork, to the animals carved into the lodge pole pine beams in the lobby to the elements of railroad in the decor, it isn’t hard to see that the Wilderness Lodge was designed with Frontierland in mind. 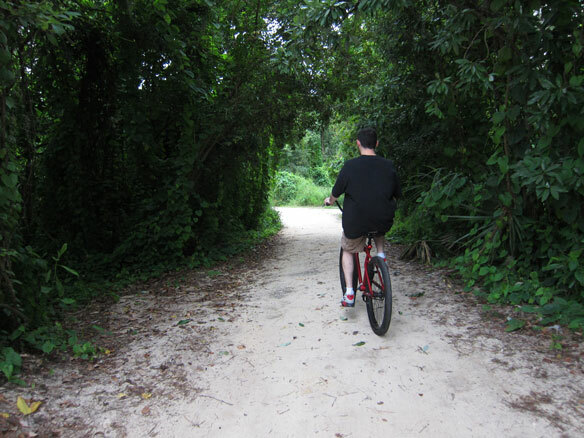 Part of what makes this resort so fantastic, is the feeling of being surrounded by nature and wilderness. 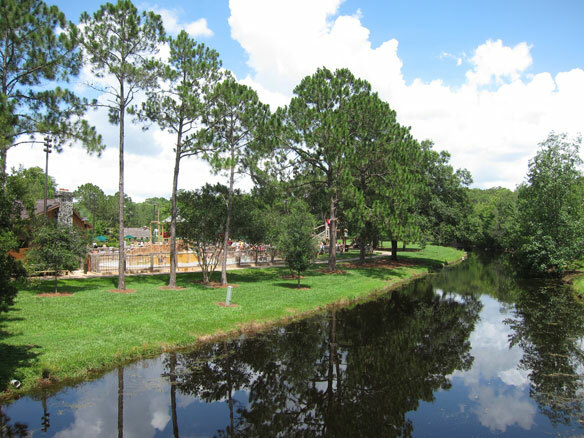 There is a babbling brook, the Silver Spring, that starts in the lobby and trips over rocks and even small waterfalls until it empties onto the shores of Bay Lake. A geyser spouts off hot water and steam several times throughout the day, lending the resort the feel of a National Park. 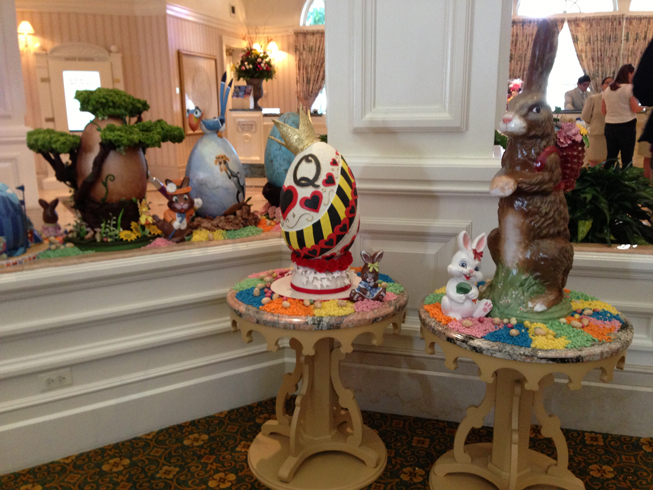 Pine trees are prevalent throughout the resort, and animals, or at least representations of them, can be seen from before you even enter the lobby. 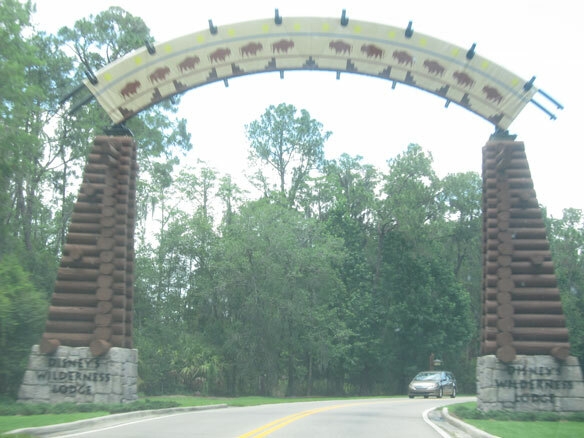 Topiaries of birds and buffalo greet guests before they pull up to the magnificent entrance to the resort of the Wilderness Lodge. Wildflowers bloom and grasses grow in a way that feels very natural to the landscape and not overly manicured by the fabulous horticultural team at Disney. 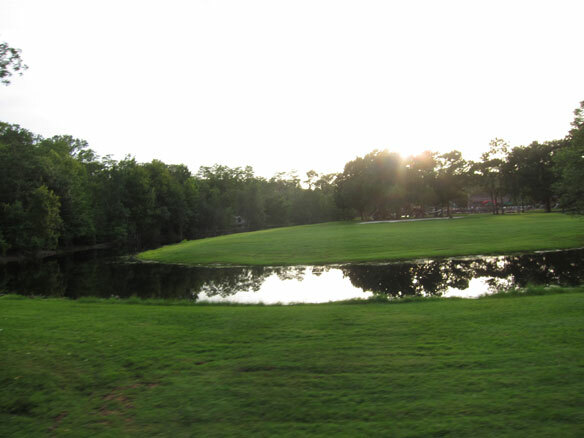 There are so many great spots to just relax and enjoy the scenery at this resort. 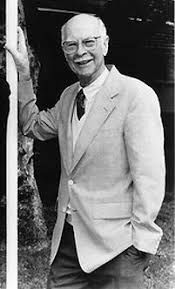 It always makes me way to just pull up a rocking chair and read a book, whether by the pool, out on the upper level balcony off the lobby, or in one of the hidden nooks hidden above the entrance to the lobby. I find myself slowing down to enjoy this resort more than others. 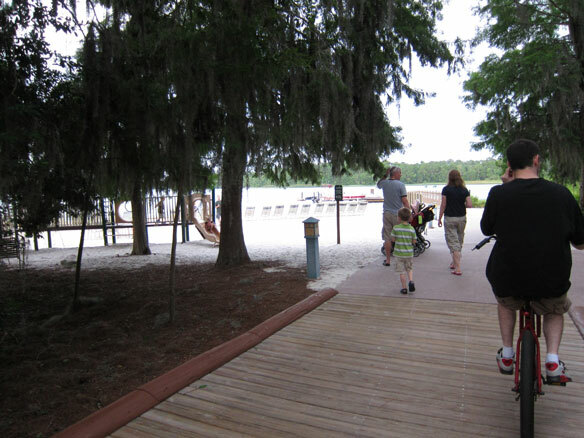 The resort lends itself to a pace where you can amble along the shore of the lake to discover the path to Fort Wilderness. 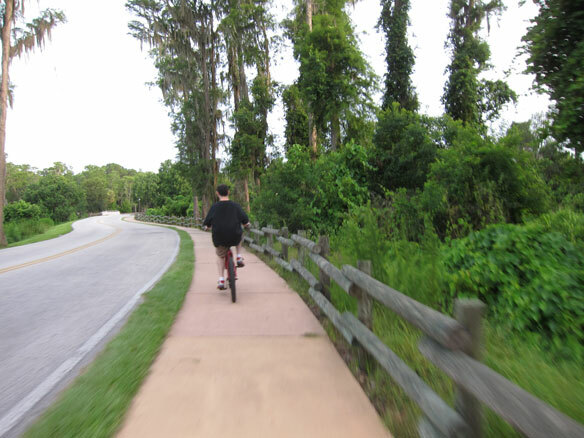 If you want, of course, you have many recreation activities at your disposal from boating to biking, spa services, fitness center, and the Magic Kingdom is just a short 5-10 minute boat ride away. I can remember the first time I stayed at the Wilderness Lodge the week before Christmas in 2008. It was the first time I ever stayed club level and it was amazing. 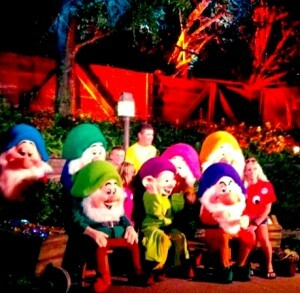 Although this is not my favorite overall resort, at Christmas it wins for me, hands down. I don’t know if it is the fireplace, or the absolutely perfect background music, or the incredible 7 story tall Christmas tree in the atrium lobby, but it all adds up to what Christmas looks, smells, sounds and feels like in my book. 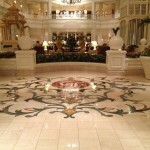 This is the resort I must visit at some point during the Christmas season above all others at Walt Disney World. 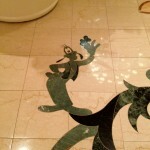 Maybe this is partially why I have such a great connection to this resort, due to the first stay being so magical. 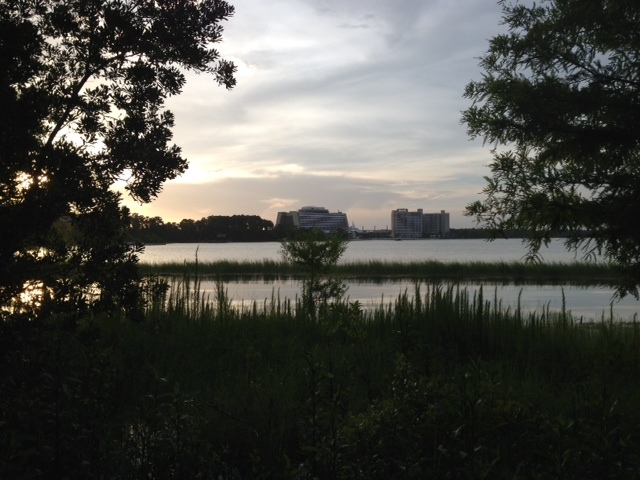 I almost always stay in a Courtyard view room and have lucked out with views of Bay Lake each time. I’ve even before fortunate enough to be able to lay in bed to watch the Electrical Water Pageant cruise by at night and open the doors to my balcony to enjoy the show. 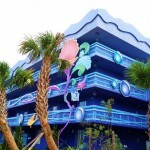 The accommodations are some of the most affordable in the Deluxe resort category at Walt Disney World, and that may have something to do with why I have stayed here more than any other resort, other than Pop Century. 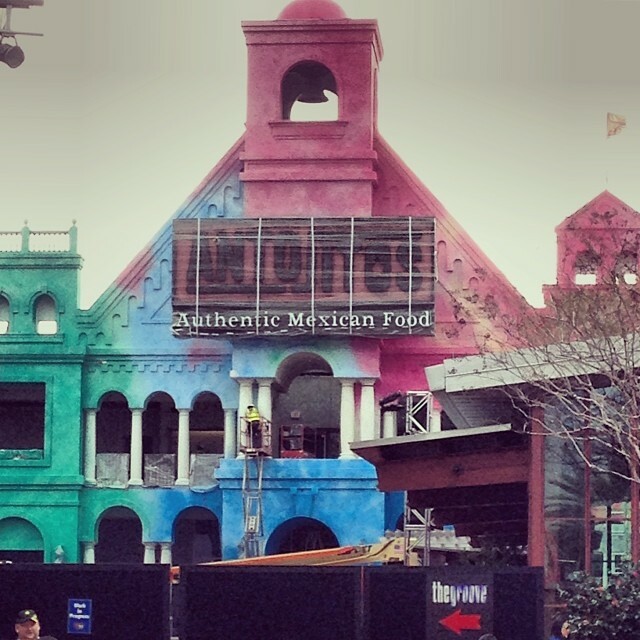 I have stayed at least once a year since 2008, and don’t see that changing any time soon. 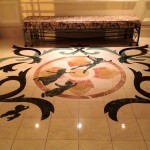 I adore the peacefulness I feel when I set foot in the lobby. I look up at the totems and remember hearing their stories from Ranger Joe several times. 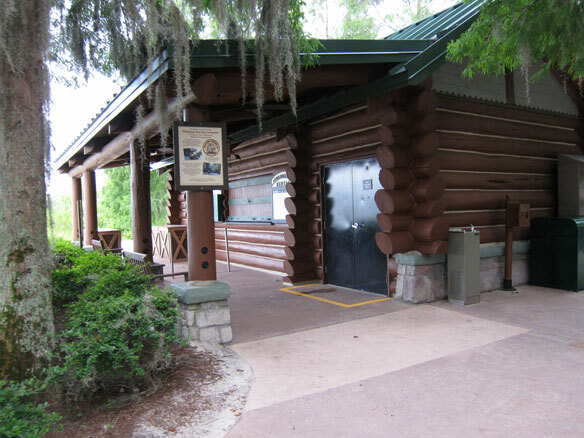 If you haven’t met the Rangers at the resort, make sure to take time out to take the Wilderness Lodge tour, which is given at least once a week typically around 10am. The animals carved into the poles representing the different levels of elevation they would be found at in the mountains are beautiful. 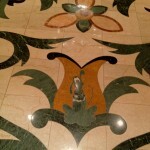 Similarly, the effort that went into creating the amazing fireplace cannot go unnoticed. 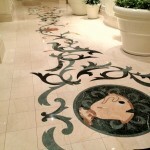 The rockwork (some real and some faux) is stunning! Layers of rock are stacked on top of each other representing different strata of the Grand Canyon. 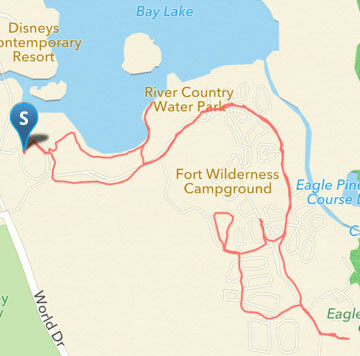 Over the past month we’ve taken many laps biking around Disney’s Wilderness Lodge and Fort Wilderness Resort. 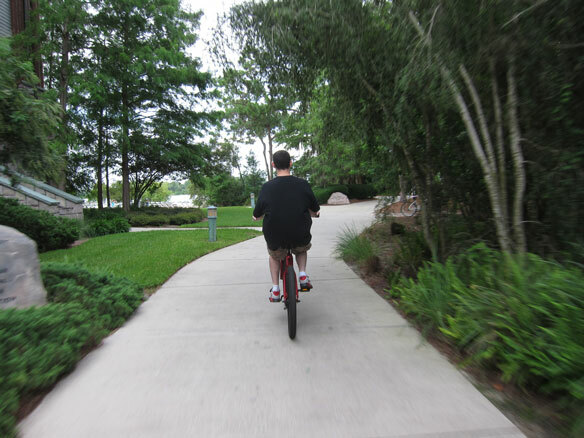 If you’re staying at or visiting either Wilderness Lodge or Ft. Wilderness, you are able to rent bikes on property ($18/day). 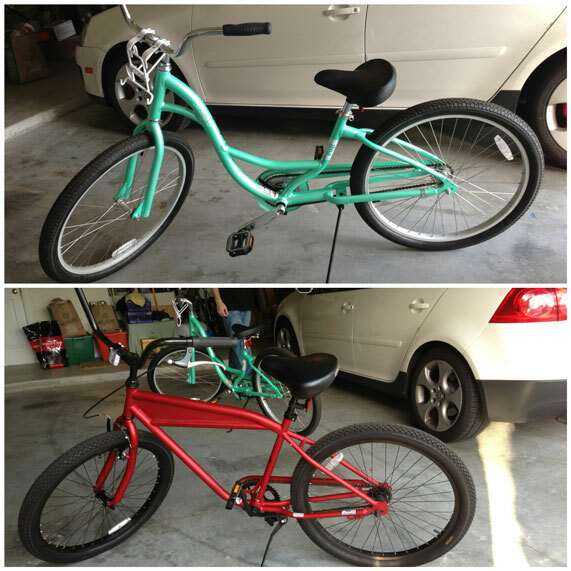 Since we live so close and now have our own bikes (yay! 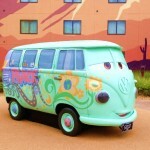 ), we load them up on the car and go explore for a hour or so. 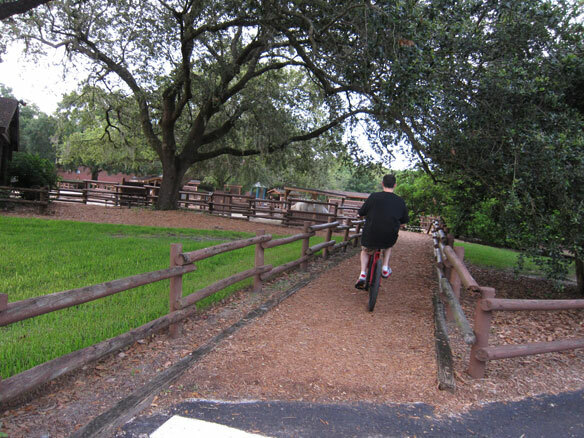 We’ve started each ride from the Wilderness Lodge parking lot (but you can start from either) and we take one of two trails that connect between the lodge and the campground. 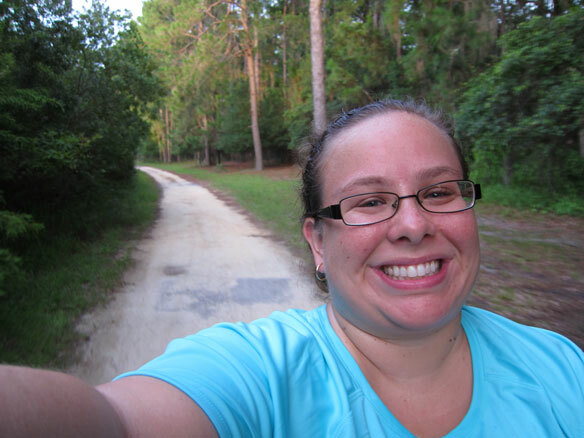 If you leave the parking lot and go toward the right (near the bus loop), you can take the paved trail all the way to the campground. 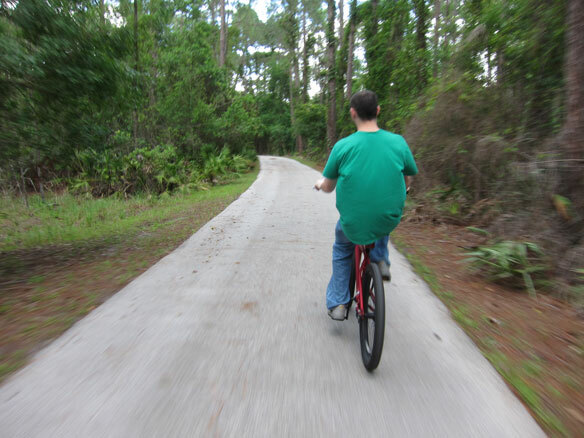 But, if you’re up for even more adventure, head toward the left of the parking lot (by the lake) and you will find the bike rental area and an unpaved trail. 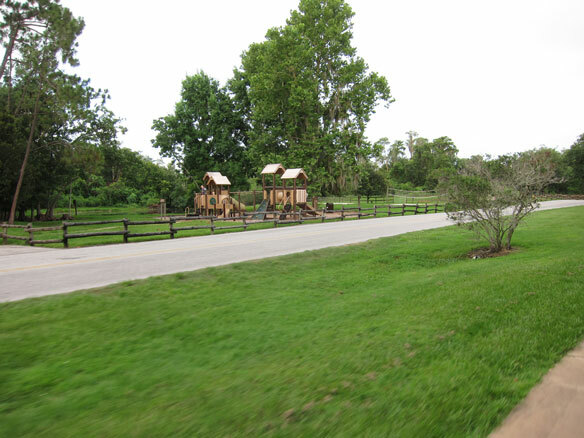 This unpaved trail leads to one of my favorite spots on Disney property. 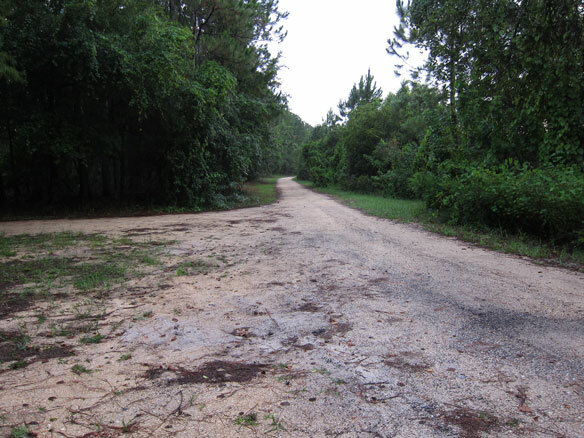 The unpaved trail comes to a fork. 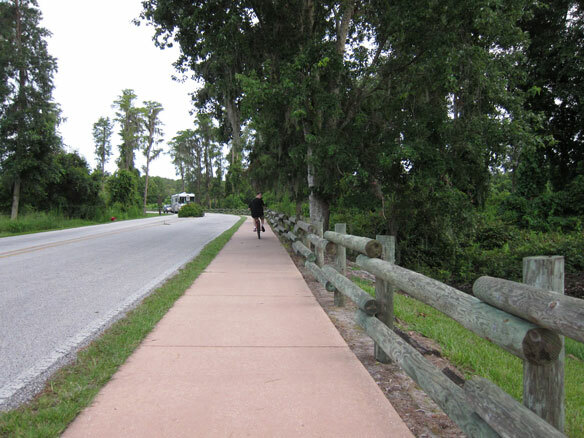 Head towards the right where you will meet up with the paved trail. 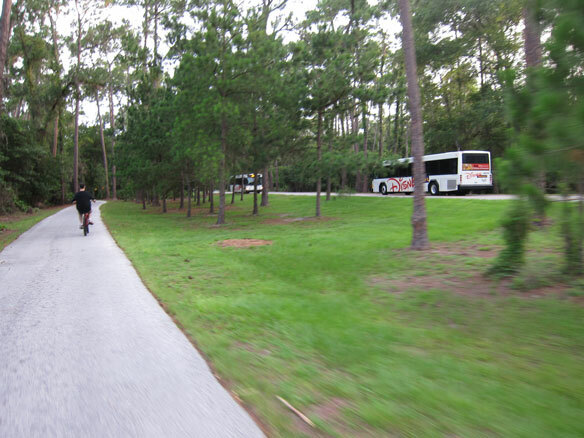 Both of these paths are great and I forget I’m even on Disney property. 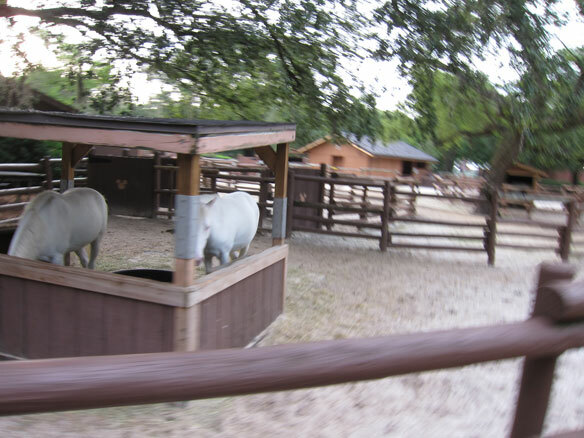 You enter the campground area going by Tri-Circle-D Farm and you can visit with the ponies, head towards the hall where Hoop Dee Doo Review is held, grab lunch at a quick service restaurant, view the lake or not stop at all and make a couple of laps around the campground. Don’t worry about getting lost. 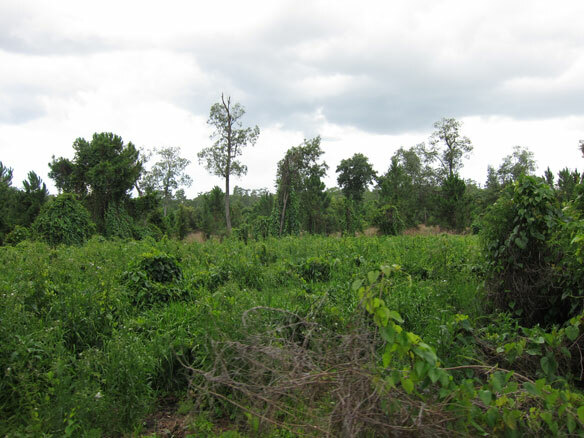 It’s quite a big area, but we’ve always found our way back to Tri-Circle-D Farm area. 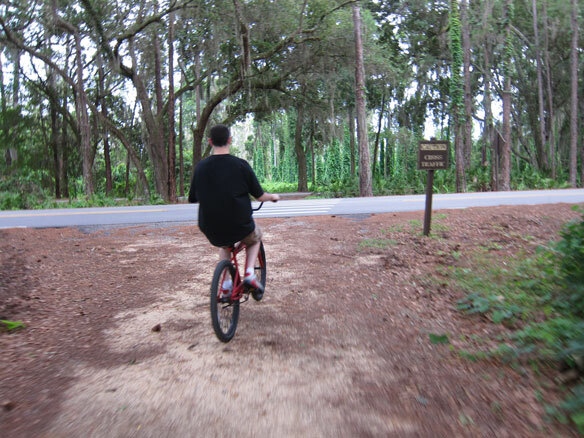 While the campground can be kind of busy depending what time of year you visit, there is always plenty of room to bike. If you have kids with you, there are a couple of playgrounds along the route that they can play on while you catch your breath! 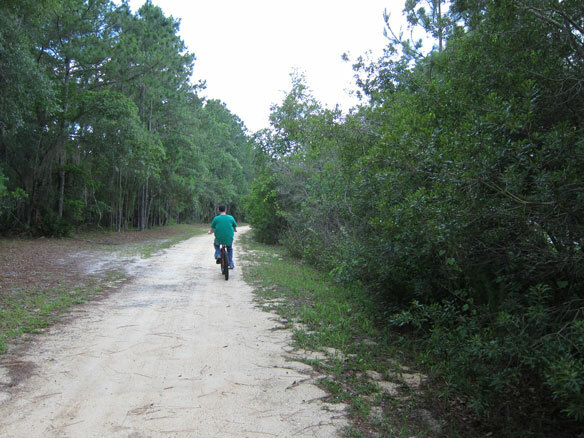 Once you feel like you’ve had enough, you can take one of the two trails back to the lodge. Oh and you never know what you’re gonna see! 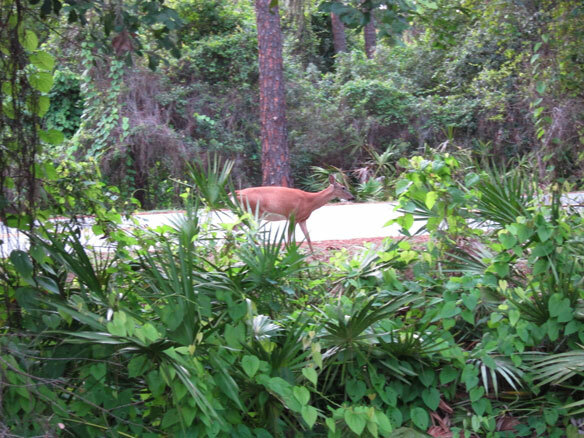 We’ve seen so many bunnies along the path and even a deer once! 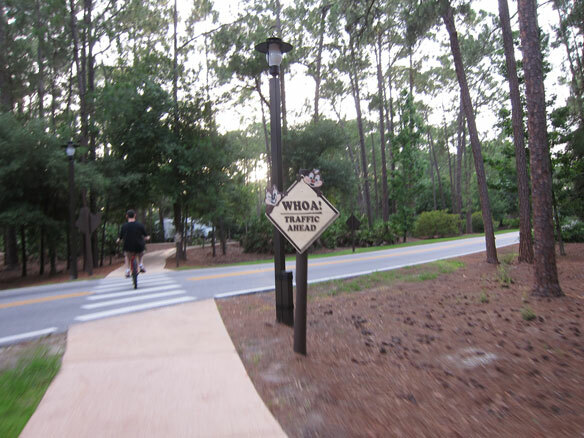 Please be sure to stay hydrated when you’re biking around the resort. 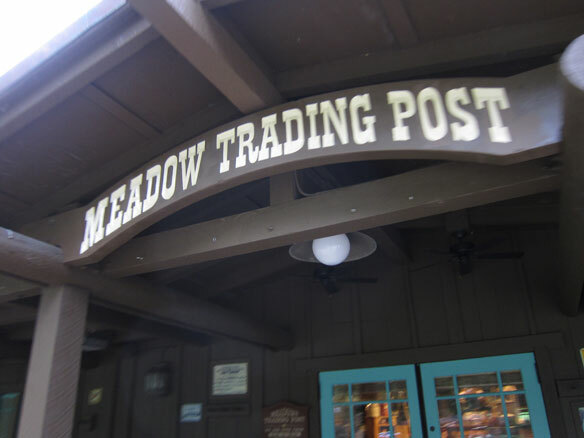 I’ve seen a water fountain at the trading post, but I’d almost bet that there would be some around the comfort stations as well. 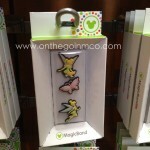 The last souvenirs you’re going to want to take away from Disney World are bug bites, take some big spray with you! 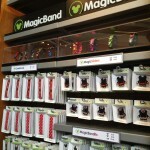 MagicBand Accessories Are At Walt Disney World! 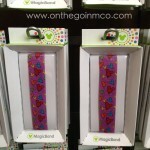 MagicBand accessories have arrived just as Walt Disney World has started a largest test of the new MagicBands! 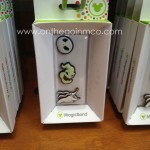 Available at Fantasia gifts at the Contemporary Resort and Zawadi Marketplace at Animal Kingdom Lodge, these accessories allow you to customize your MagicBand in an affordable way! I was really excited to see that they had a good variety of characters and designs available! The pricing is what really surprised me! 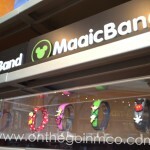 With bands and MagicBandits are priced by item. 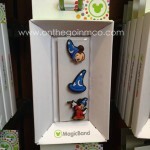 The MagicBandits with three itema at $6.95 , four items at $8.95 , and three items+ at $12.95. 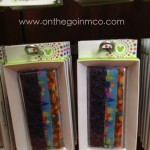 CoverBands are $6.95 for one and $15.95 for 3. 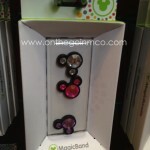 MagicSliders for the bands are available in Mickey $12.95 and Minnie $14.95. 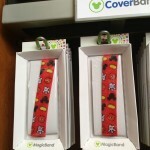 I can’t wait to customize my own MagicBand! Look for pictures of mine coming soon!!! UPDATE!!! Here is a video of the accessories and how they really work and feel! 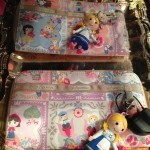 For even better pictures of the accessories, swing by our Facebook Page to check out this album! 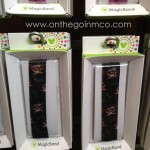 The Fantasia Gift Shop at the Contemporary Resort is where you will be able to find MagicBand accessories! 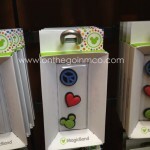 Author ShelleyPosted on June 20, 2013 June 25, 2013 Categories Disney's Contemporary Resort, Park Merchandise, Walt Disney World, Walt Disney World ResortsTags Florida, Magic Bands, MagicBands, NGE, Orlando, Orlando Tourism, Walt Disney World Resort7 Comments on MagicBand Accessories Are At Walt Disney World! 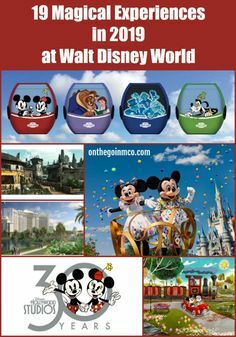 Many of us see the ESPN Wide World of Sports Complex and think of it as the place where we pick up our RunDisney Race Packets or where the Atlanta Braves hold their Spring Training each year, but this often overlooked part of the Walt Disney World Resort plays home to much, much more! Walking past the globe and up to the gates, you find yourself immersed into a world of sports…no pun intended. But it is really amazing to see so many talented kids and adults in one place playing the games they love! 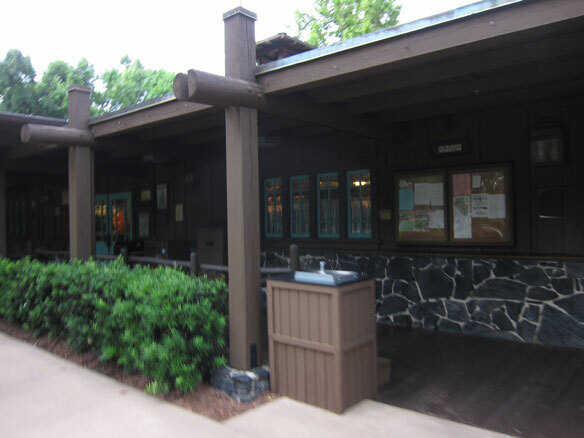 When you first walk up to the complex, you will notice that there is a large Box Office where you can purchase your tickets for events at the complex. 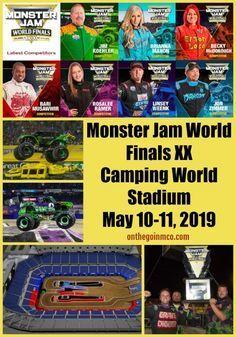 It is important to note that guests, who are not athletes or coaches participating in an event, require paid admission for entrance. 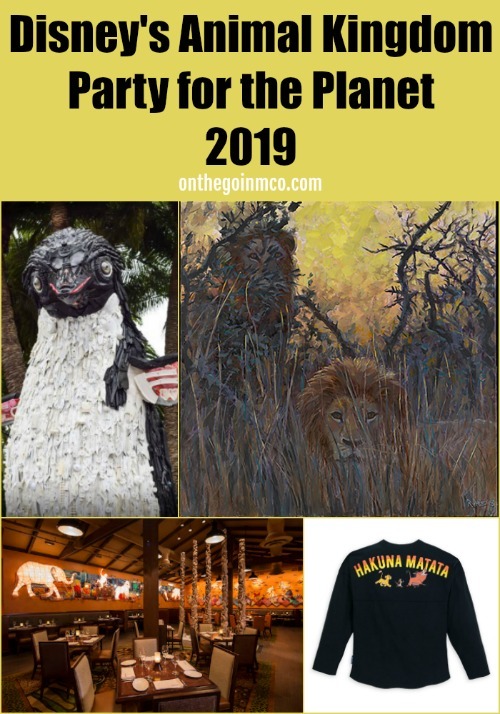 General admission prices for Adults (Ages 10+) $16.00 and Children (Ages 3-9) $11.00, and for many events length-of-event admission tickets are available. Also Premium and Special Events may require additional charges. 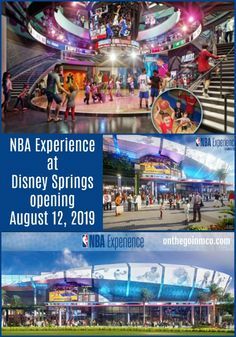 If you are planning on visiting the complex for a specific event, you can go to the ESPN Wide World of Sports site, and search by event for ticket options. The one thing that totally blew my mind when I visited the ESPN Wide World of Sports Complex is just how many venues they have for almost any sport imaginable! The first thing I think of when I think of ESPN Wide World of Sports, is their fields, all 28 of them, that feature surfaces for signature sports. 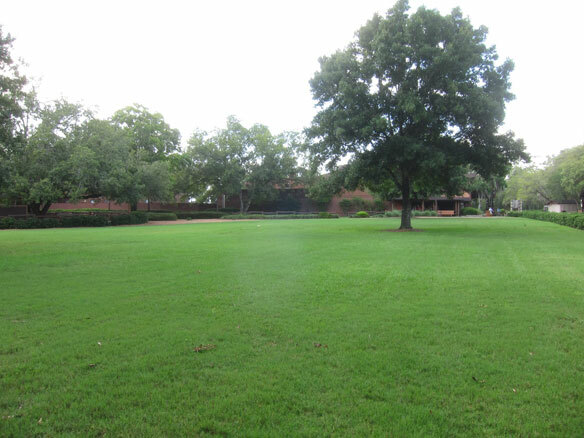 For baseball, there is the Baseball Quadraplex which is home to four professional sized fields and one practice field. 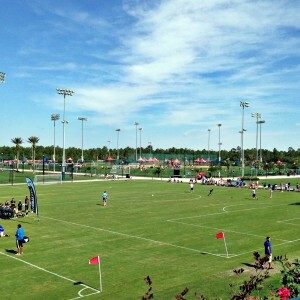 Fields 7 and 9 are more versatile grass playing surfaces for soccer. 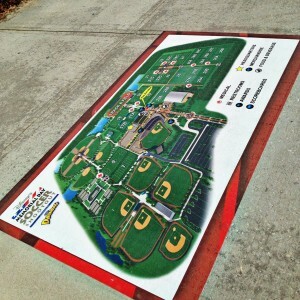 In Diamondplex 10-15 you will find baseball and fastpitch softball fields. While the Hess® Fields 16-30 feature versatile grass playing surfaces for sports including soccer, baseball, field hockey, and lacrosse. 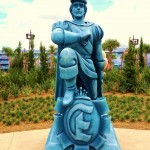 Champion® Stadium is Disney’s Big League Stadium, and is home to the Atlanta Braves Spring Training. This stadium is also used for baseball and fastpitch softball. It is a great stadium! It’s just the right size to make you feel like you are at a big-time game, while still having the fun and intimate feeling that is so unique to MLB Spring Training! The HP Field House is where you will also find the larger spectator sports. The HP Field House is a multi-sport facility; they have even laid down ice for ice skating competitions and ice hockey games! 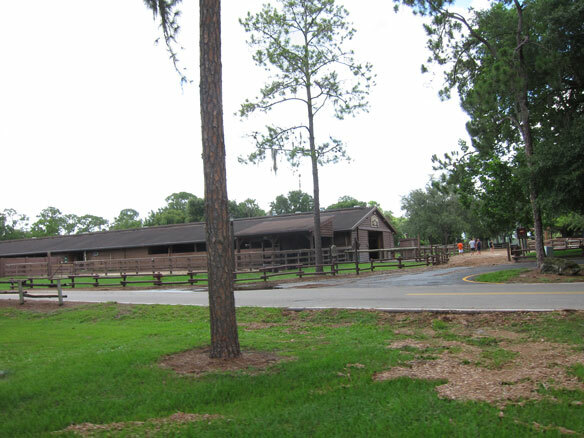 But mostly you will find the HP Field House playing host to cheer, basketball, and volleyball competitions. 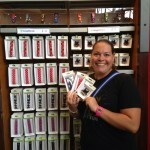 The Jostens® Center is another multi-sport facility, and where the RunDisney Expo and Race Packet Pick-Up are usually held. 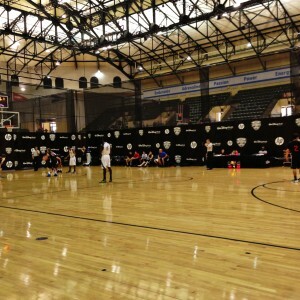 The day I visited ESPN Wide World of Sports, it was host to 6 basketball courts for the AAU Basketball Tournament. 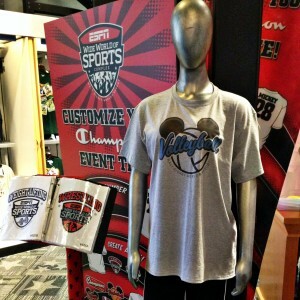 It is a HUGE facility that is also home to the ESPN Wide World of Sports Grill and Custom Tee Center by Champion®. The New Balance Track and Field Complex is a Premier competition and training facility for state, national, and international events. 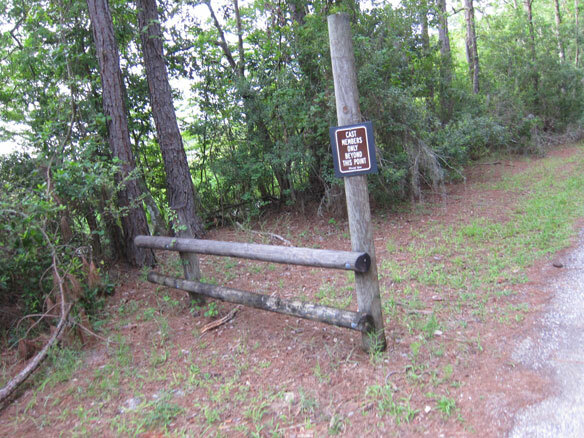 If you ran in the Run Disney Tower of Terror 10-miler, this is where the Haunted Mansion Grave Diggers were waiting for us. And finally, at the Tennis Complex you will find ten clay courts, including a stadium court! These courts can accommodate anything from a youth clinic to a professional tournament. 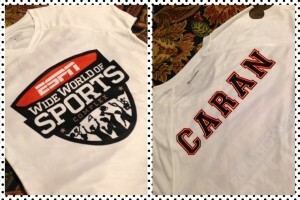 If you think that getting around the ESPN Wide World of Sports would be confusing and overwhelming you would be wrong! 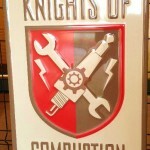 With the Welcome Center conveniently located in the heart of the complex, you are never far from help! 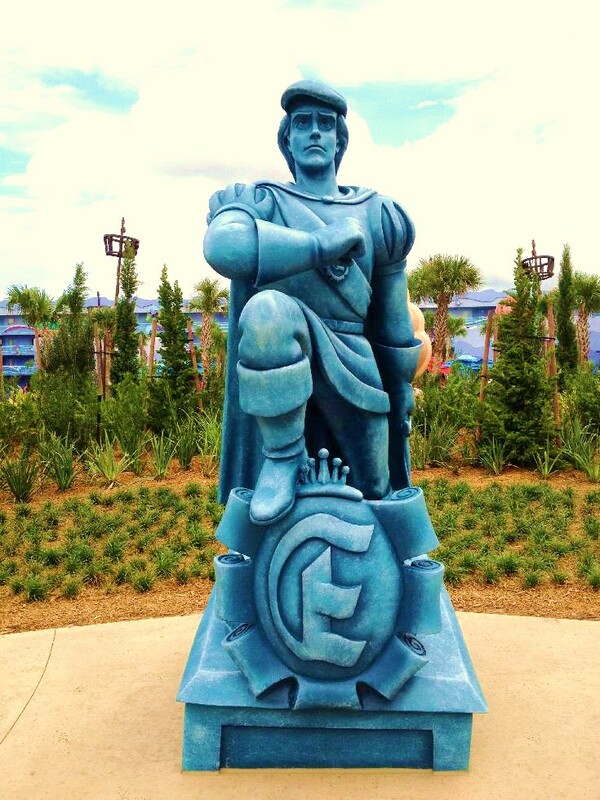 In the Welcome Center, you will find Cast Members who are extremely knowledgeable about not only the Complex but all of the Walt Disney World Resort. You can do anything from finding event information to purchasing tickets (even for La Nouba) to help scheduling large group reservations and activities. 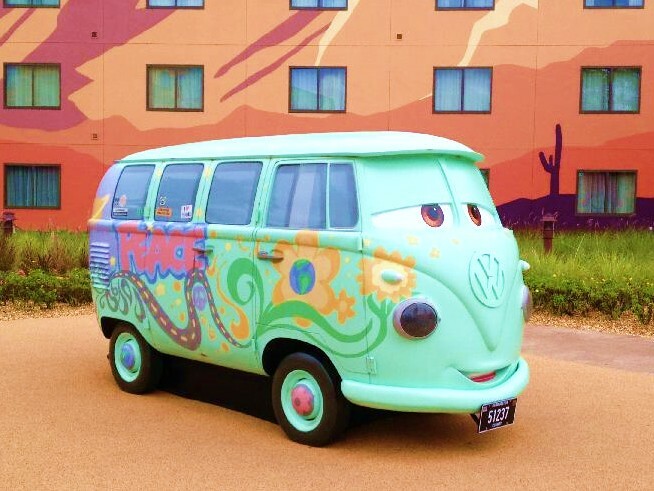 And if you happen to be far away from the Welcome Center, there are several mobile units and Cast Members deployed to fields around the ESPN Wide World of Sports Complex. 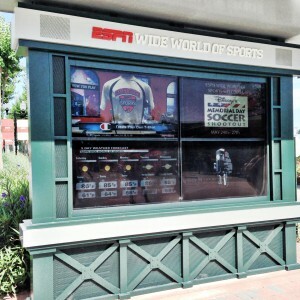 ESPN Wide World of Sports also makes use of video displays throughout the complex. There are also four screen hubs, where four large LED monitors show you event highlights, information, weather, and general information about the complex. These hubs are soooo useful, and if you are lucky you might even catch your team featured in the highlights! Also, for events you will find maps where you least expect to find them…on the ground giving you an easy way to find your field or venue! 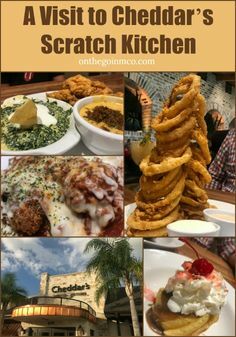 If you want to grab a bite to eat, you have a ton of options! The most fun option is that you can have pizza delivered to your field. 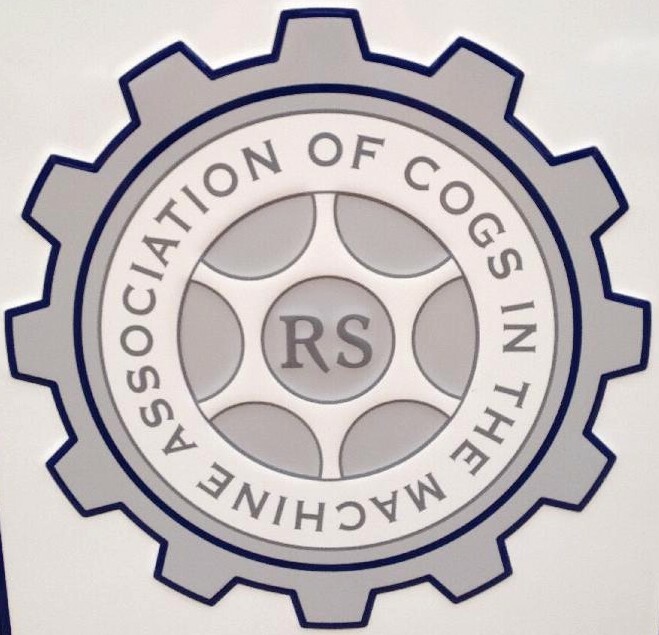 Seriously…how cool is that??? 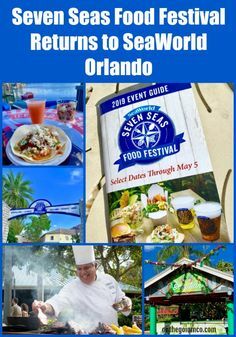 You will also find a mobile ESPN Food Truck where you can buy anything from a snack to a beer, and when the Complex is really busy you will even find local food trucks! Also, inside of the HP® Field House there is an almost mini-food court with several options available. 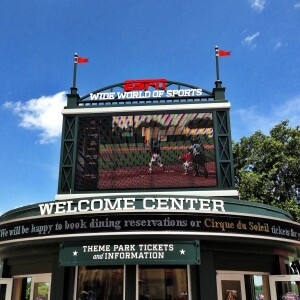 But if you are looking to get away from the hustle and bustle, you may want to visit the ESPN Wide World of Sports Grill. 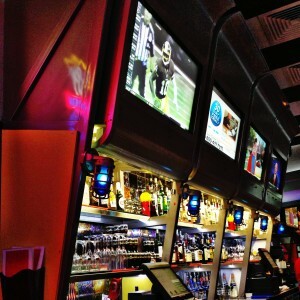 You’ll find Burgers, Salads, sandwiches, and even a full service bar to relax in after a fun event. They have coke freestyle machines inside the Grill, which is always a fun bonus! The full service bar at the ESPN Wide World of Sports Grill. 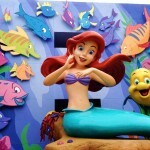 There are also three really unique offerings at the ESPN Wide World of Sports Complex. The first is the Custom Tee Center by Champion® where you can customize an event T-shirt with more than 50 designs available to commemorate your accomplishment or you can design your own shirt, like I did! 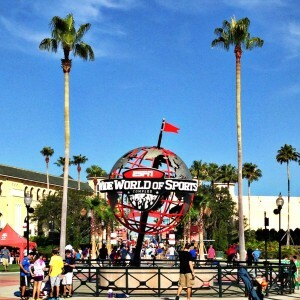 This is a really cool area of ESPN Wide World of Sports, and one that you definitely don’t just want to pass by! 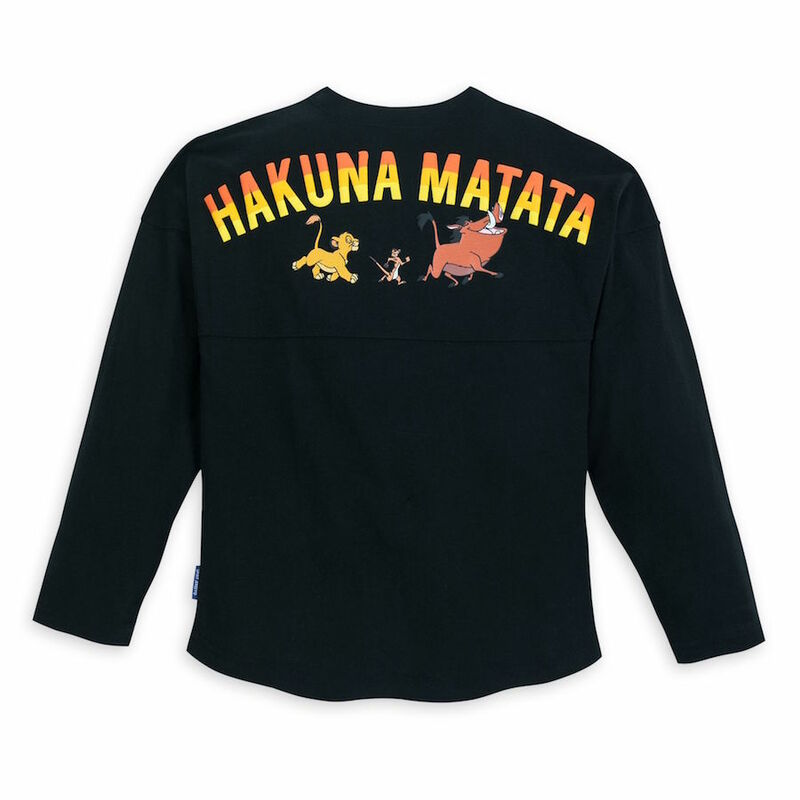 I opted to make a shirt that was perfect for training for my upcoming RunDisney races, but there were tons of other shirt styles and designs I could have chosen from. For me, the best part is that the shirts are ready in a snap (mine was ready in about 30 minutes) and if you can’t pick up your shirt until the next day they make sure it stays safe until you can come and get it from the Tee Center. The second really amazing service offered at ESPN Wide World of Sports is the Gameday Photo Experience. Here you can view your Gameday Photos, create custom photo keepsakes, and take amazing green screen pictures. You can even make posters and fully personalized ESPN The Magazine covers. 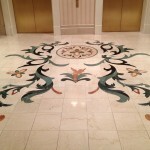 The quality of these photo products are incredibly high and they are produced with little to no turnaround. It really is perfect for the hectic schedule of sporting events. 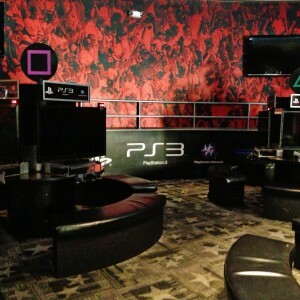 Also, you will find the PlayStation Pavilion where athletes between and after games can wind down by playing the ultimate PS3® gaming experience. There is an additional charge to use this area, but it is a great way to bring a team together or celebrate a big win! As you can see, the ESPN Wide World of Sports Complex is much more than what meets the eye and I can’t wait to share more about teams can make the most of their time at the Complex and how to make sure you don’t miss any great opportunities to visit. 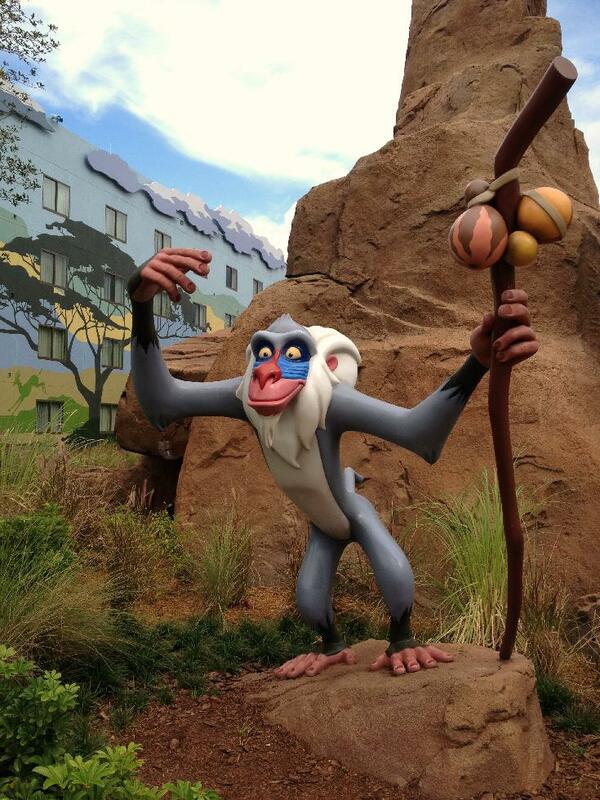 DVC Neighborhood News: Interested in sharing your Membership stories? 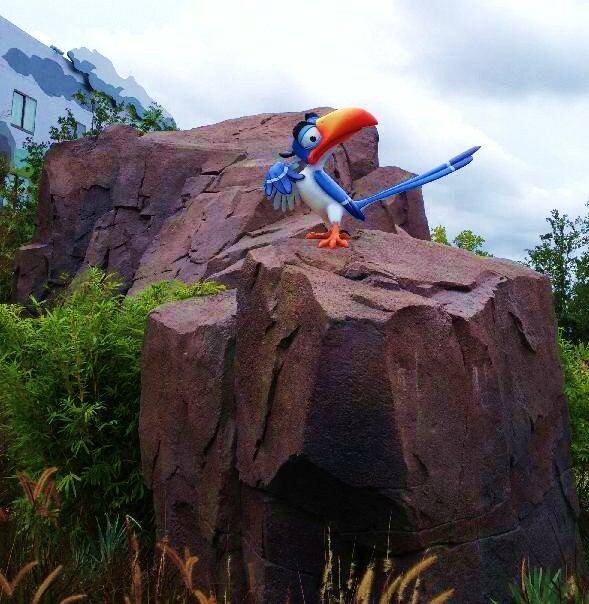 You’ve told us how much you love your DVC Membership — now’s your chance to tell the world! 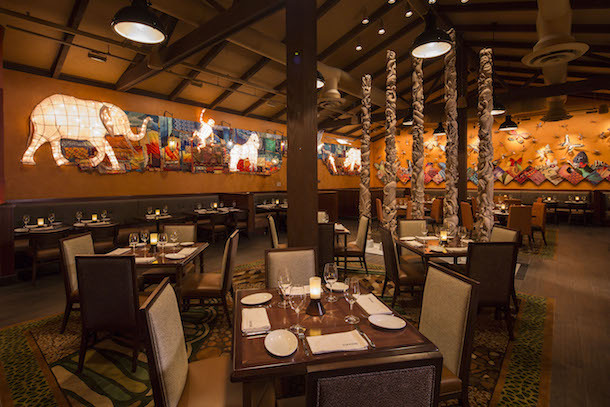 We are looking for dynamic, enthusiastic Members who might be interested in sharing their favorite Disney Vacation Club DVC stories on camera for use in upcoming marketing tactics. 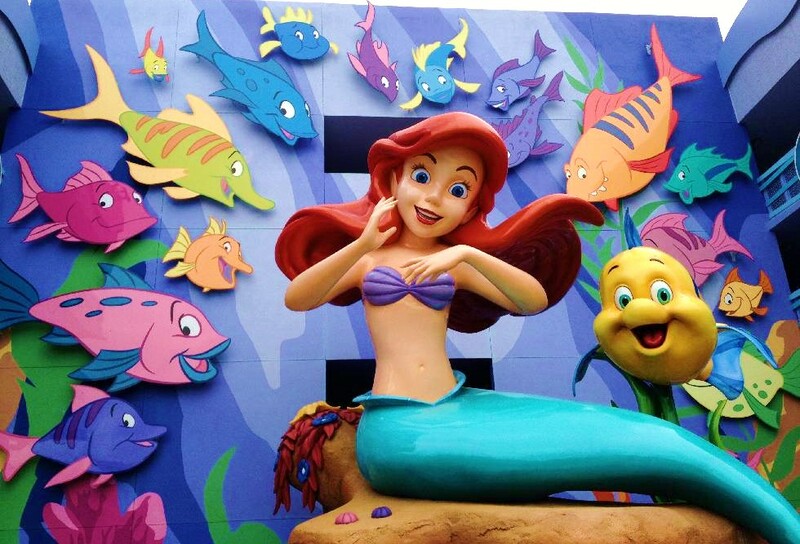 If this sounds like fun and you’re planning to be at Walt Disney World® Resort in May, we’d love to hear from you! 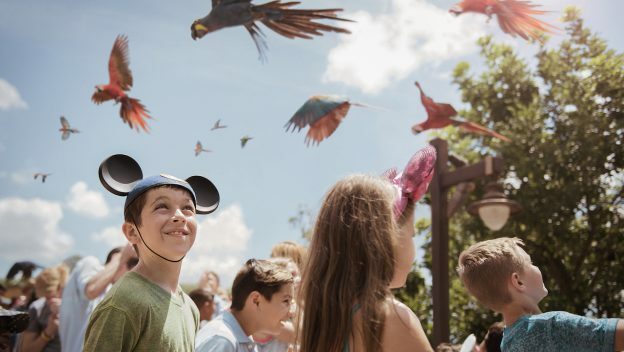 Just click here to provide us with your contact information, details on your travel party and a picture, and a Disney Cast Member will be in touch in the next few weeks. 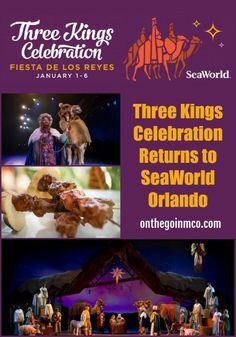 Author CherylPosted on April 23, 2013 April 23, 2013 Categories Disney Vacation Club, Walt Disney World, Walt Disney World ResortsTags DVC, Florida, news, Orlando, Walt Disney World, Walt Disney World ResortLeave a comment on DVC Neighborhood News: Interested in sharing your Membership stories? 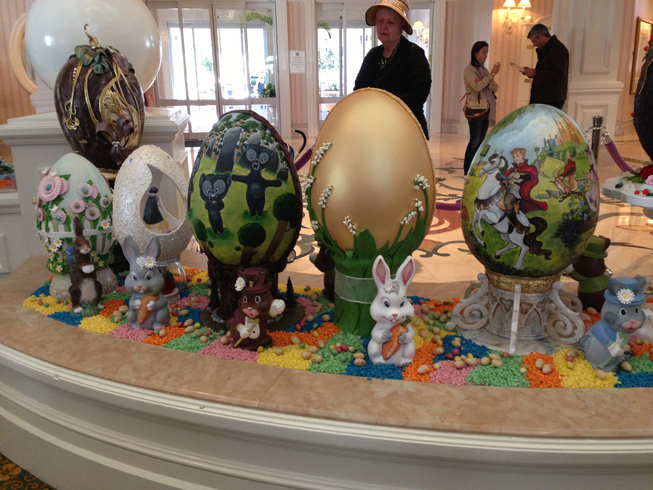 For reservations please contact Victoria Thompson at Victoria.j.thompson@disney.com. 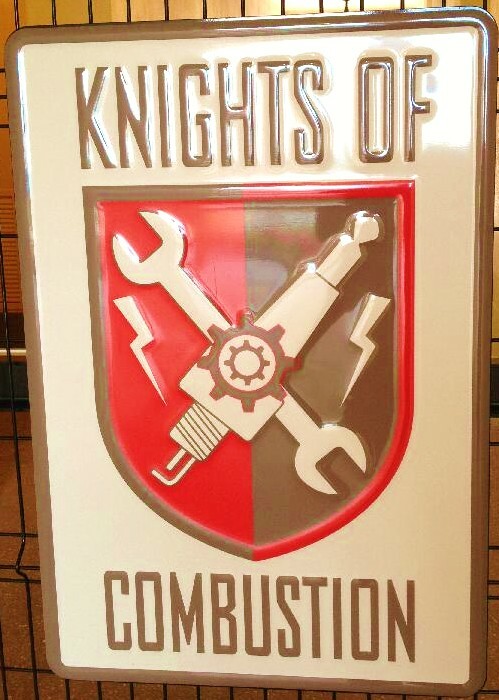 Each event is limited to 40 guests. 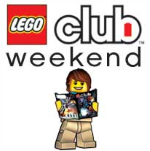 Each event requires a credit card guarantee, and there is a 3 day cancellation policy. 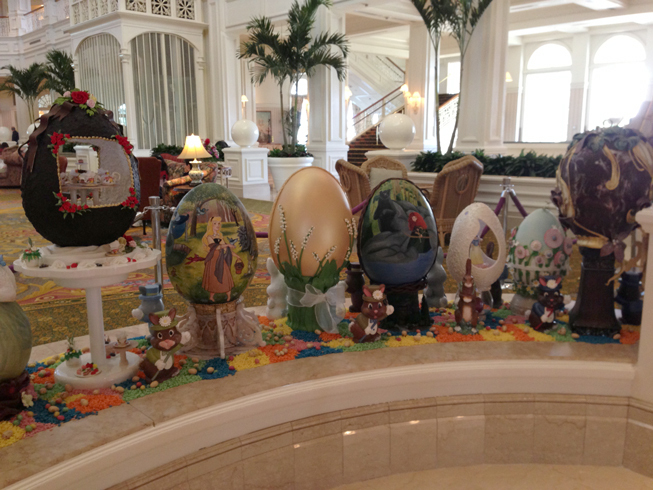 The second annual decorative Easter Eggs at Disney’s Grand Floridian hotel are up! 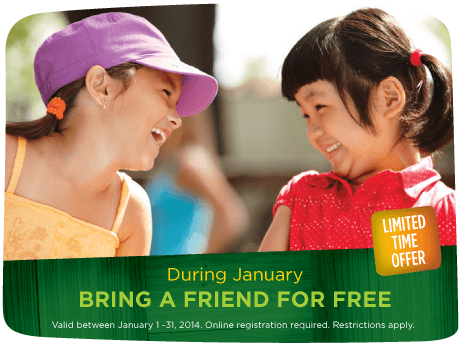 But only for a few more days – through Sunday, March 31. 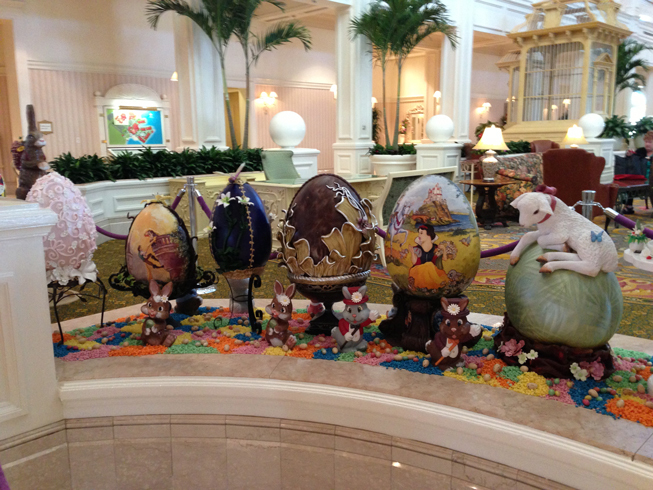 If you walk in the front door of the lobby, you will immediately see these gorgeous eggs. I didn’t get a chance to see them last year, so this was a huge treat for me to stumble upon. 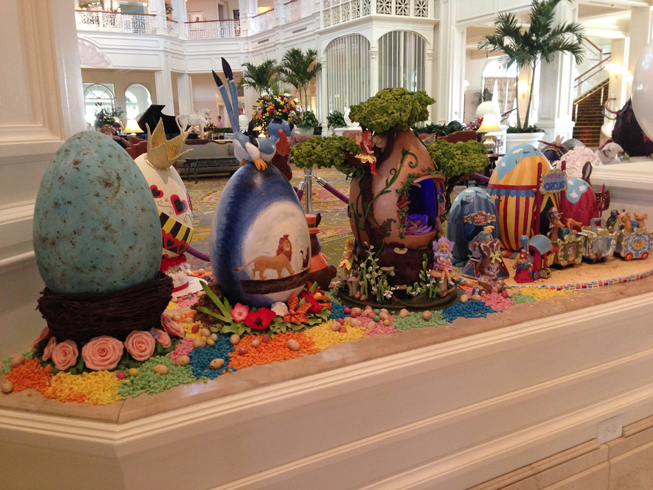 The amount of work and detail put into each of these eggs is amazing. The fact that the Wall-E egg has lights kind of blew my mind. 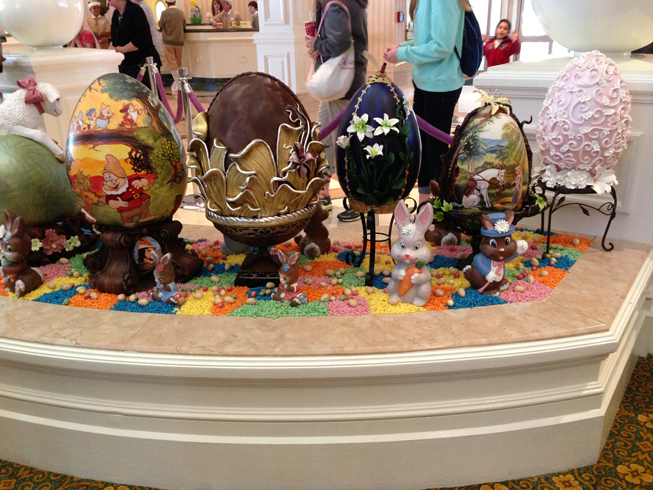 If you’re able to stop by the Grand Floridian before the eggs are egg-stict (sorry, I had to), be sure to do so! This week’s TrenD Report is one for all the purse lovers out there!!! The LeSportsac Spring 2013 Holland Collection has arrived at TrenD! 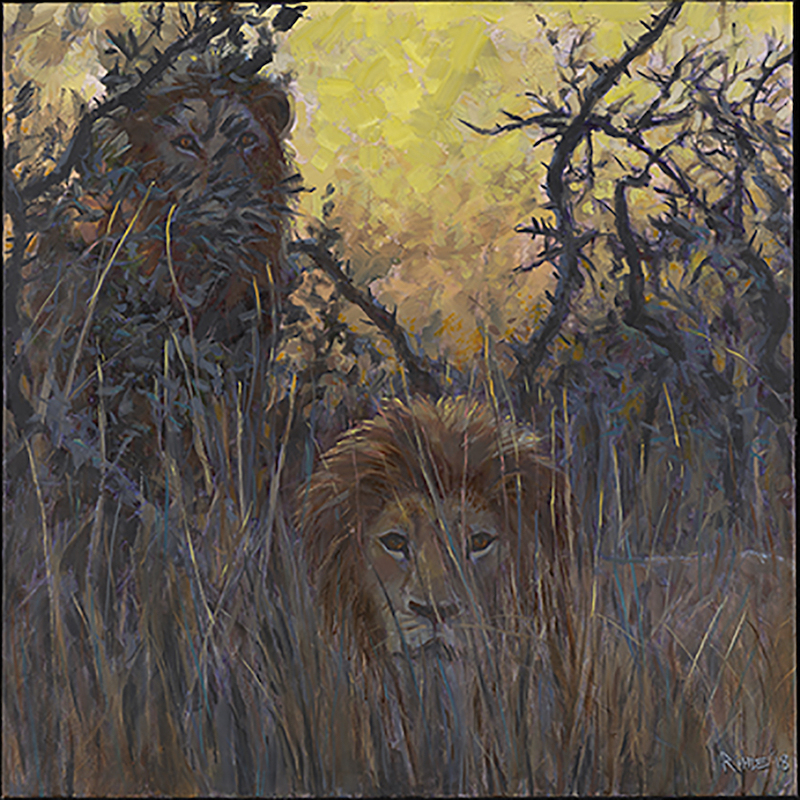 I was on the fence about this collection, because of the light and muted colors shown in pictures. 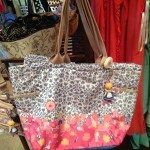 However, when you see the bag in person the colors are vibrant and warm. I am really becoming a fan of this collection. Also, they have updated their canvas bags and the new look is fun! Last year’s design had a Tory Burch cut out feel to them, but this year’s update has a more playful and bold feel. If you’re looking for a durable bag, you may want to consider these! 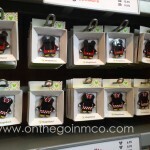 Villains Haveys bags have invaded the shelves of TrenD, and I was super excited about them before I saw them. 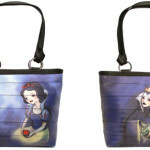 I absolutely adore the concept of the bag, with a Princess on one side and her Nemesis on the other, yet in person the execution seems low end. Don’t get me wrong, I am a huge Harveys fan, but these feel a little airbrushed to me. 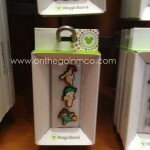 It was hard to get a great picture through the case, so I have included an image from their site. 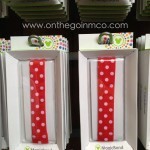 There is a new Hidden Mickey floral design that is new that is so super cute! I am loving the tank top! The colors are super vibrant and fun! 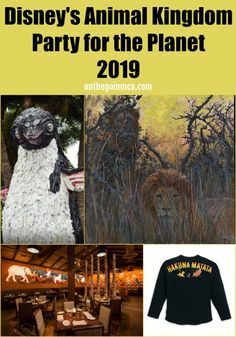 You’ll find a few extra fun things that I found on my visit, so I hope you enjoy this TrenD Report!!! 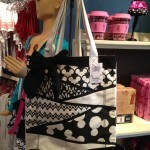 This Black and White Mickey tote is really fun! 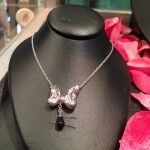 There are a few Petra Azar pieces, and they are STUNNING! 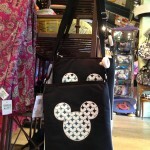 This canvas Mickey Crossbody has been updated from the past style, and I REALLY like it! 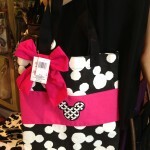 I love the red accents on this black and white canvas tote. 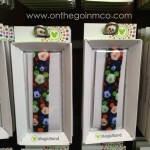 I love all the pieces of the new Hidden Mickey Floral line! 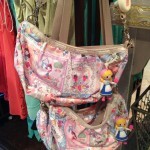 This LeSportsac two strap crossbody bag is a great size to take into the parks. 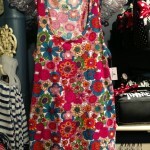 I think the Hidden Mickey Floral tank is my favorite! 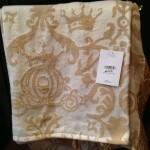 I am kind of in love with this Princess throw!!! 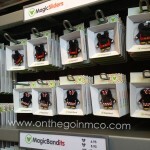 They even have a LeSportsac wallet this time around. 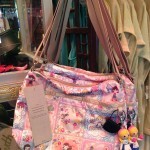 I am OBSESSED with this It’s A Small World LeSportsac tote!!!! I am still on the Fence about the Harveys Good vs Evil bags. This LeSportsac bag is a great mix of a tote and crossbody! 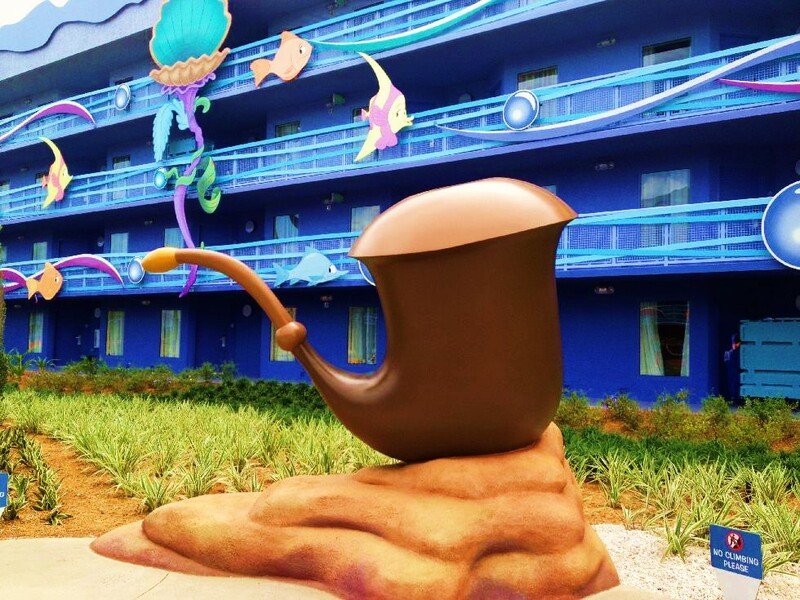 This past weekend I had the pleasure to stay at Disney’s Art of Animation Resort for the second time and enjoy some of the amazing details. 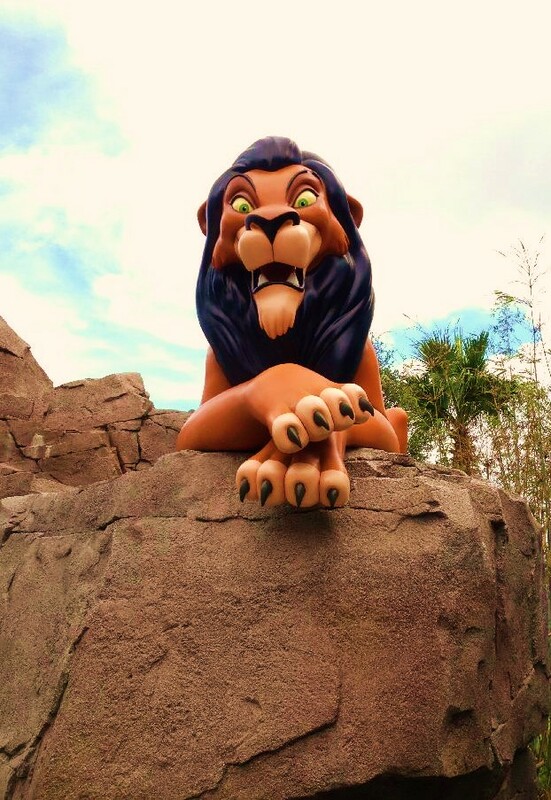 I thought I’d share some of my favorite new things since I was able to explore the Lion King and Little Mermaid sections for the first time. 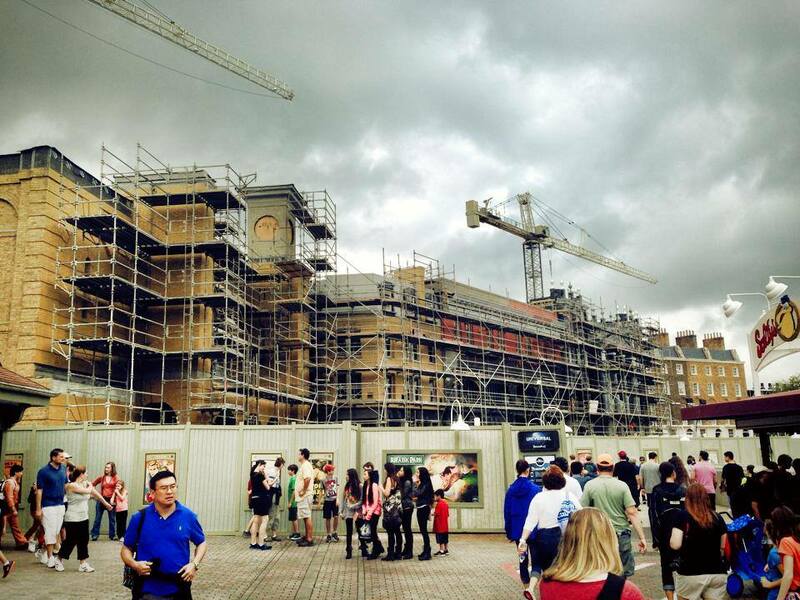 I cannot wait to go back and stay in each of these new sections of the resort! 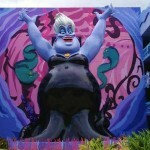 This is now cemented as my favorite of the Value Resorts at Walt Disney World. 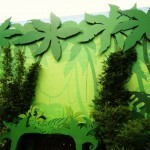 The theming is absolutely incredible! 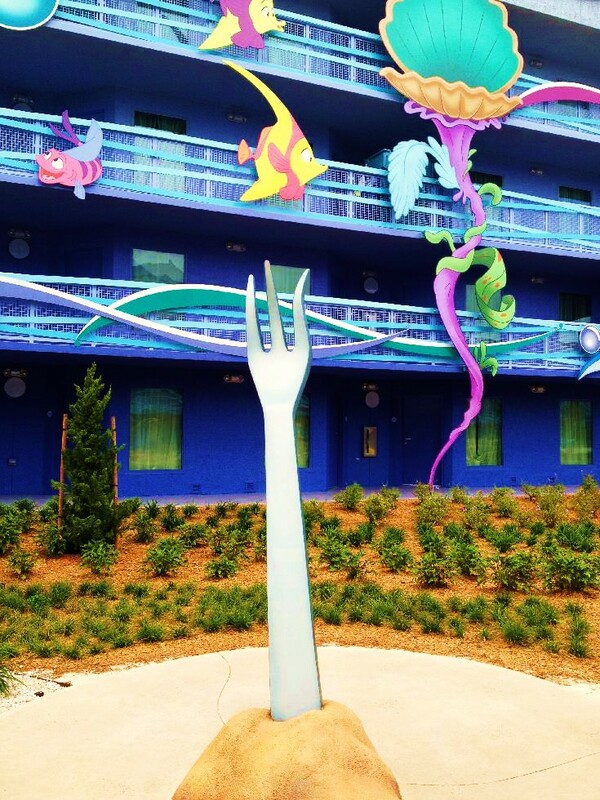 In case you missed them, go back and take a look at our previous posts about the Finding Nemo, Cars section and Landscape of Flavors. 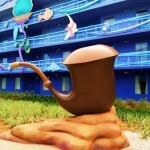 If you aren’t familiar with the Art of Animation Resort it is amazingly designed, and the more you return to the Art of Animation Resort the more details you’ll notice and love!, it is divided into four themes. 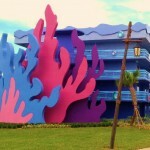 Finding Nemo, Cars, and the Lion King make up seven of the resort’s ten accommodations buildings with family suites. 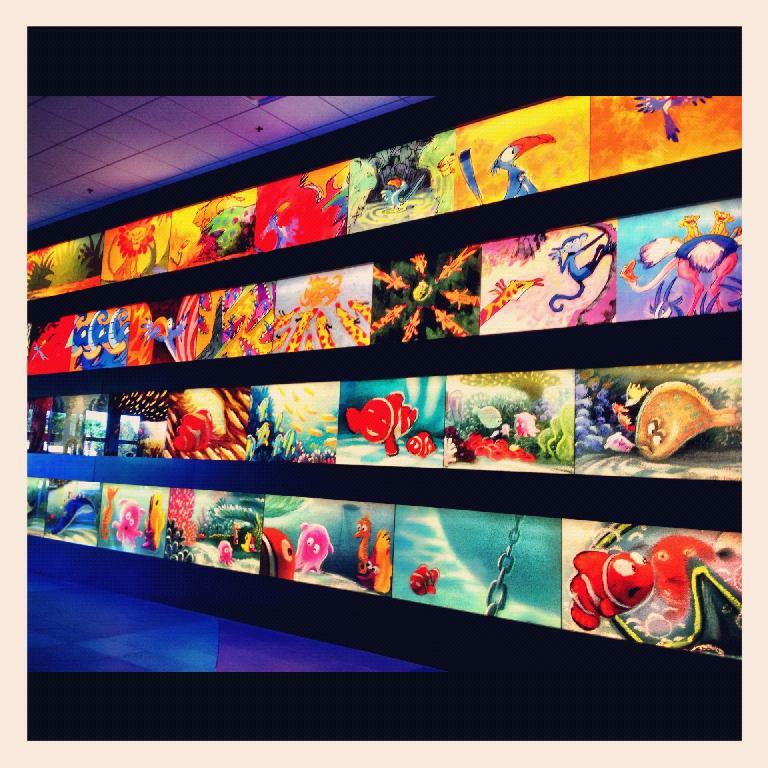 I had previously stayed in the Finding Nemo section back in May and visited the Cars section before it was officially opened several weeks later. 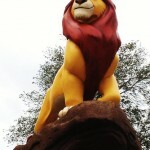 The Lion King section opened in July, but I hadn’t yet had the opportunity to visit. 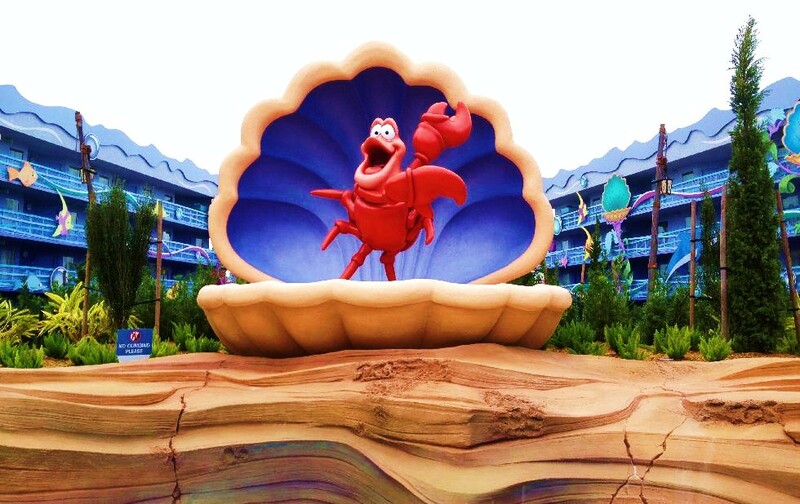 Standard rooms make up the other three buildings in the Little Mermaid section. 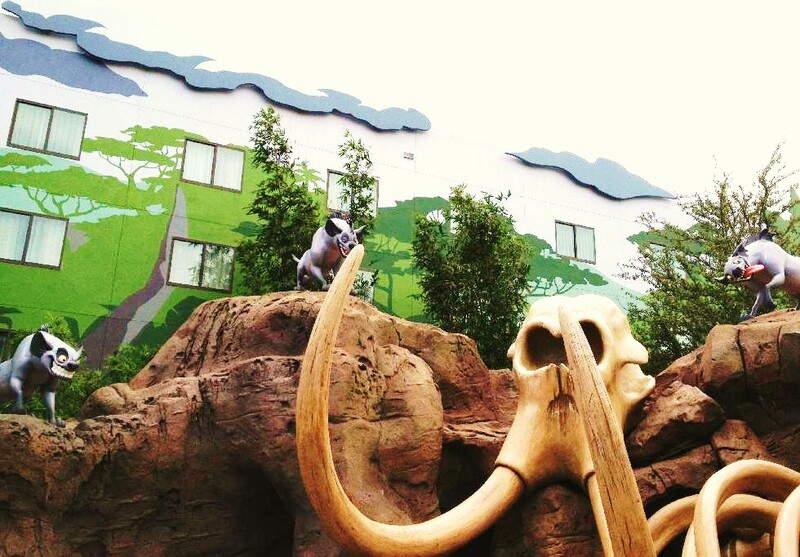 Since I was staying there I thought I would take half an hour or so to explore the resort to see some of the magic the Imagineers created at this awesome new resort. Here, I’d like to highlight just a few of my favorite pictures from the other day. 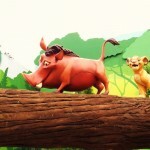 I love how well each of the character’s personalities were captured in the sculptures. 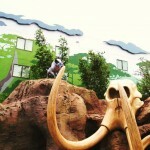 The landscaping is immaculate and perfectly suits the theme of each section of the resort. 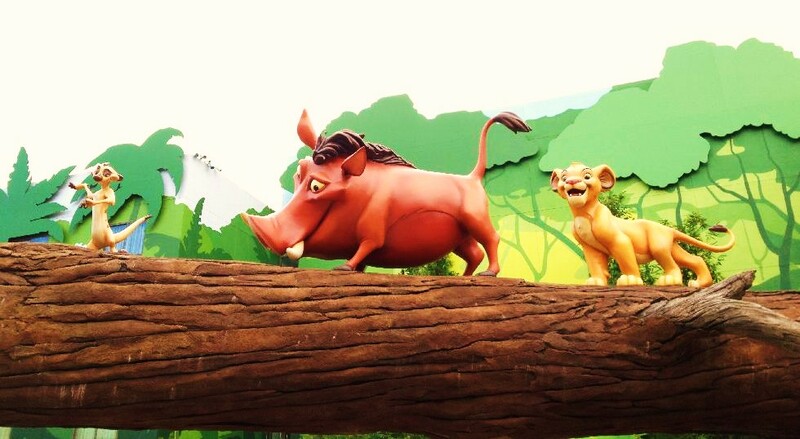 You feel immersed in the jungle while walking through the winding paths of the Lion King. The palm trees sway, almost as if moved by an underwater current in the Little Mermaid area. 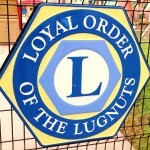 I know I’ve said it before, but this is my favorite of the value resorts. 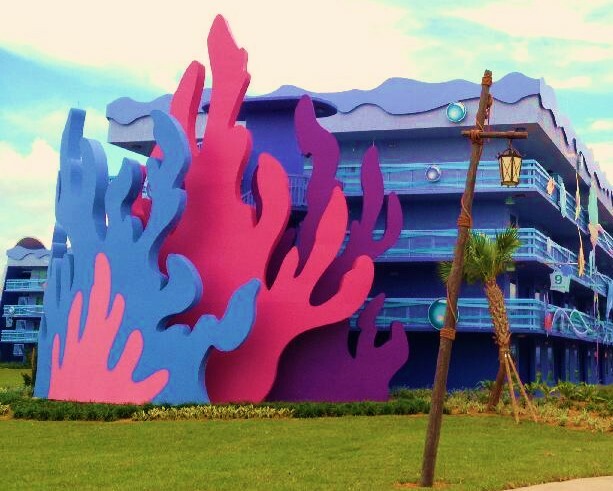 The amount of time and energy the Imagineers must have put into this resort is mindboggling. 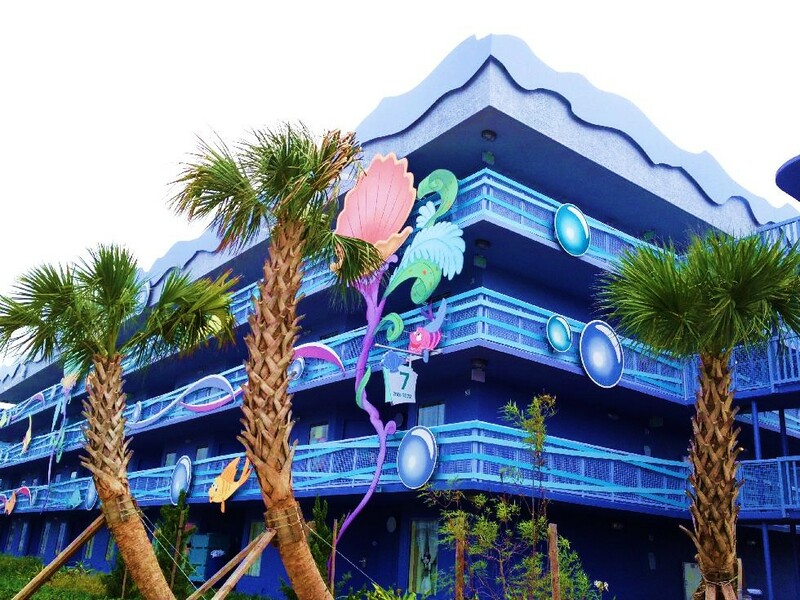 One of the best things is how the Art of Animation Resort is amazingly designed, and the more you return to the Art of Animation Resort the more details you’ll notice and love! 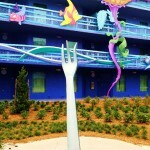 really is the focus of the resort. 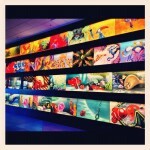 You can see the beauty in things like the larger than life characters featured above. 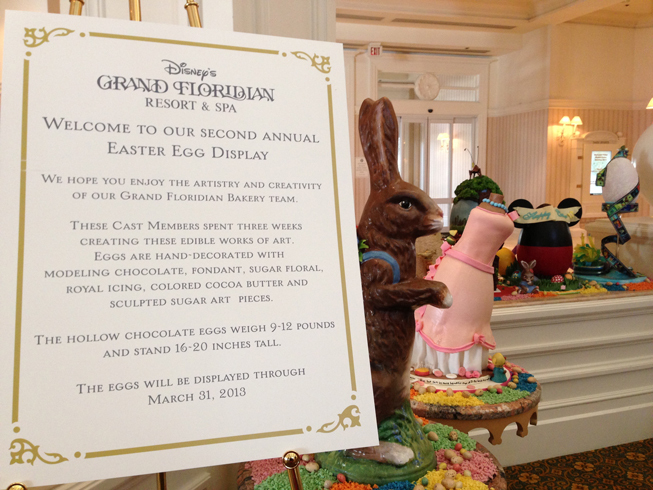 Also, great detail is put into little things like signs around the resort. 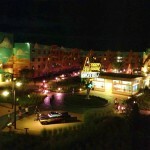 The Cars section, where I was staying this trip, is my favorite to visit at night. 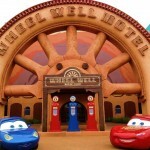 The neon around Route 66, the Cozy Cone and the Wheel Well Motel just bring this area to life with retro Americana goodness. 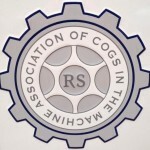 I especially love the nods to the Rotary Club, Knights of Columbus, etc. 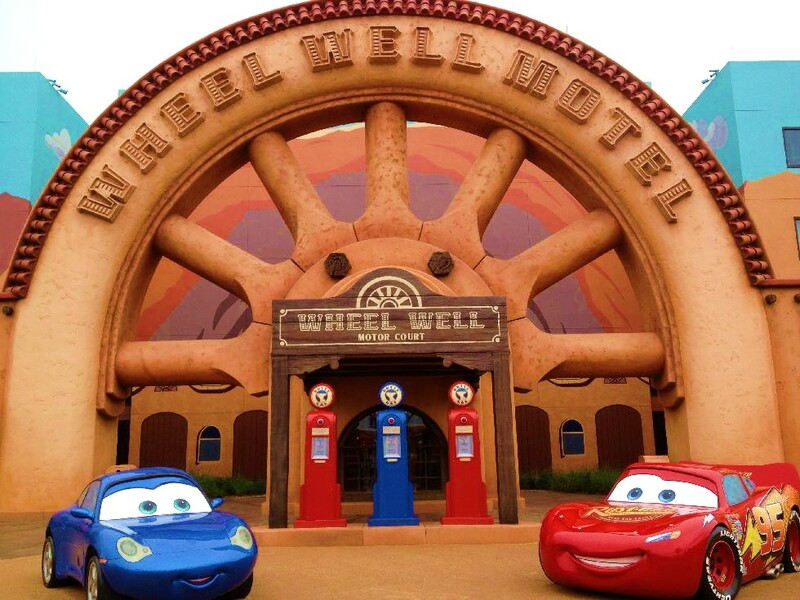 with the Cars parodies. Also, if you get a chance, check out all the bumper stickers on my favorite character Fillmore. Lot’s of great inside jokes can be found all around him. Mickey’s Not So Scary Halloween Party, which is my most favorite party of the year at the Magic Kingdom, is now under way at the Magic Kingdom! I love Mickey’s Not So Scary Halloween Party so much, because the Magic Kingdom is jam packed full of fun details, amazing entertainment, spectacular fireworks, and more importantly candy to celebrate Halloween! 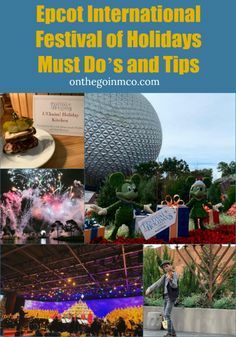 I am going to be sharing some of my favorite tips, tricks, and things to make sure that you do while you are at the Mickey’s Not So Scary Halloween Party! 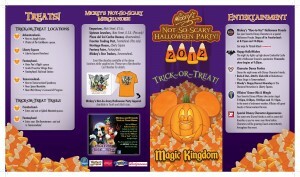 The first thing that you are going to want to consider is when you want to attend Mickey’s Not So Scary Halloween Party, because there are certain dates that tickets can be purchased at a reduced rate if they are purchased in advance. 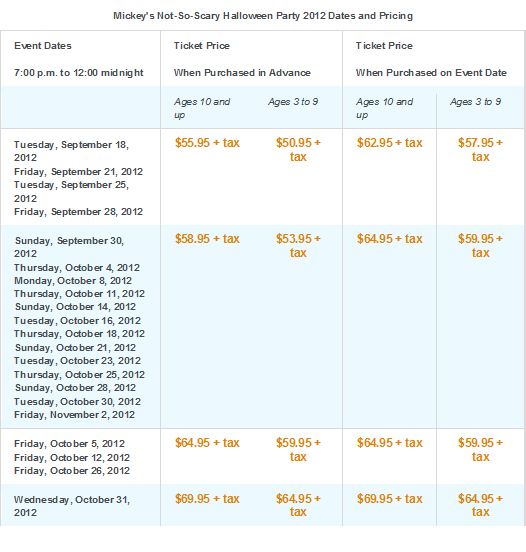 And here is the price breakdown by date for Mickey’s Not So Scary Halloween Party. 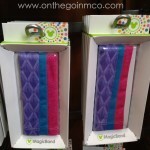 When arriving at the Magic Kingdom for Mickey’s Not So Scary Halloween Party, party admission and wrist banding begins around 6:00 pm on party days, you will be directed to use one side of security and turnstiles since you will be receiving a special wrist band from Magic Kingdom Cast Members in special costumes indicating that you are attending that night’s party. After getting your wrist band, you are going to want to grab a Halloween Treat Bag, this year featuring Frankenweenie and Wreck It Ralph, and a map for the party. One thing that I always do is bring a large purse or backpack to the party, because you will want to bring a large Ziploc bag for each member of your party to put their candy in since the more room you have in your treat bag the more candy Cast Members typically give you! Walking into the Magic Kingdom, you will notice that you will also be directed to one side of Main Street USA, since there will be a large group of guests leaving as you are arriving for the party. Also as Mickey’s Not So Scary Halloween Party begins you will be asked by Cast Members to show your armband since they will be trying to clear the park of non- party going guests. 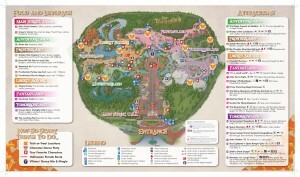 We typically arrive before the party begins, so we like to take a look at the party map and look at all there is, what people are interested in doing during the party, and we grab a bite to eat since a lot of the quick service restaurants are closed during Mickey’s Not So Scary Halloween Party. First things first, we hit the firehouse at 6:45 to get in line for our special Sorcerer’s of the Magic Kingdom card for Mickey’s Not So Scary Halloween Party. 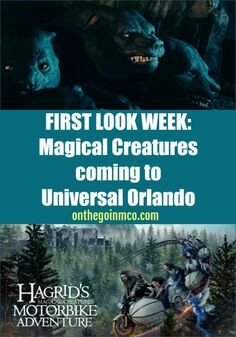 Our friends over at SOTMK Blog have great information about this card and all sorts of Sorcerer’s of the Magic Kingdom rumors and news!!! This year we decided to break with tradition, and we hit several Trick or Treat Spots before watching the first Boo To You Parade. 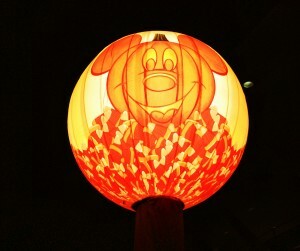 Trick-or-Treat Locations can be found throughout the park, and are a really fun way to get into the Halloween spirit! 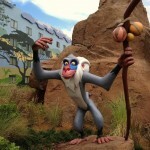 Next to Jungle Cruise where you’ll find some freaky tiki’s offering two treats! In the Pirates of the Cairbbean queue you’ll find some candy booty! 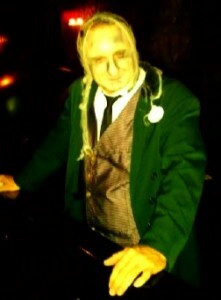 Along the waterfront in front of the Liberty Square Riverboat, you’ll be taken to a New Orleans Halloween Celebration. 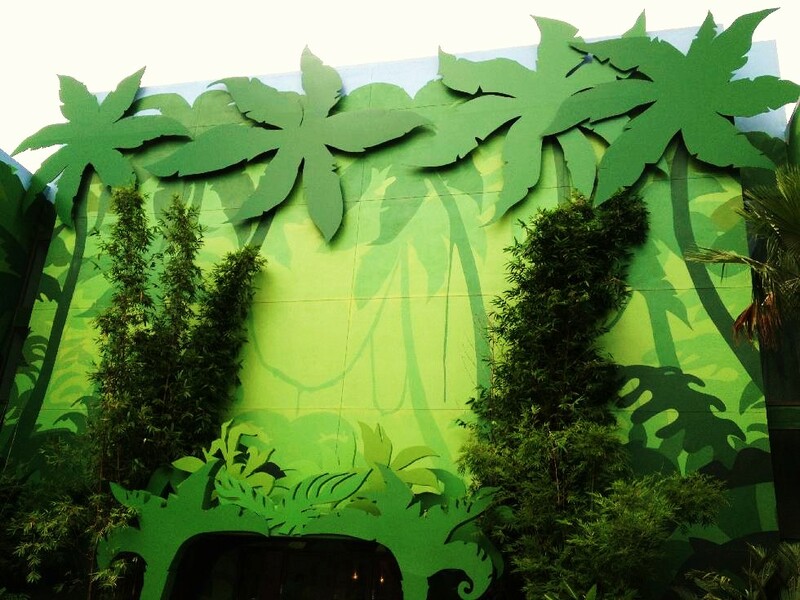 Before you can fly, hit the stop in Peter Pan’s Flight queue. Visit Pinocchio’s Village Haus for a special treat from Werther’s. 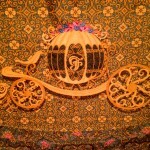 The new & special stop at the Fantasyland Railroad Station is called the Casey Jr Candy Junction. 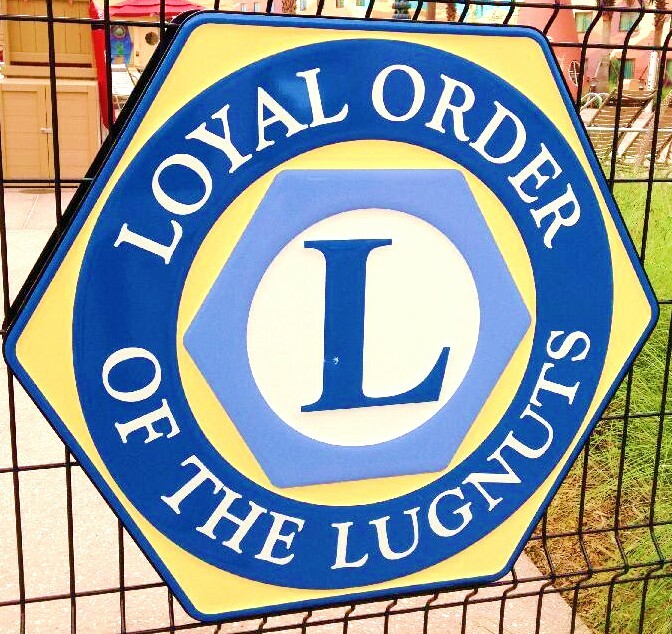 Speed on into the Tomorrowland Speedway for a tasty treat. Near Space Mountain, there is an intergalactic treat from Kellog’s. 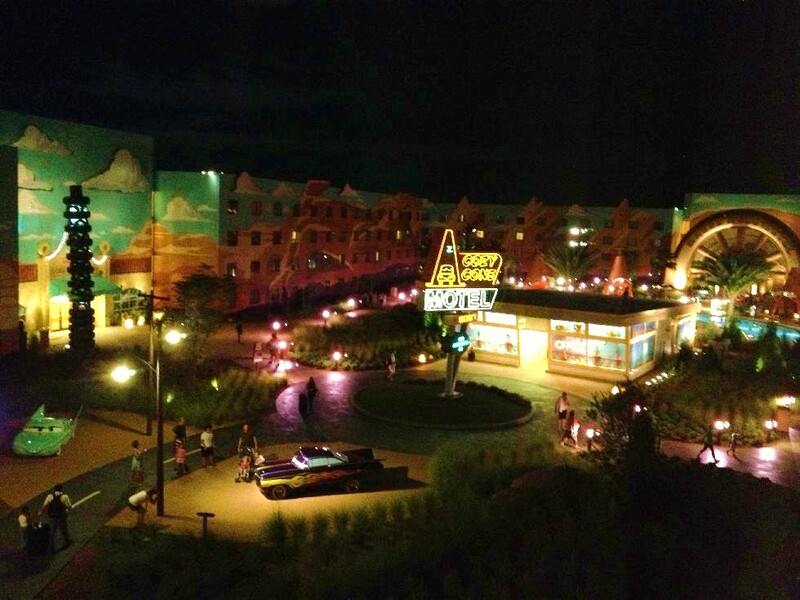 Beside Walt Disney’s Carousel of Progress you will find a candy location sure to please anyone from any decade. 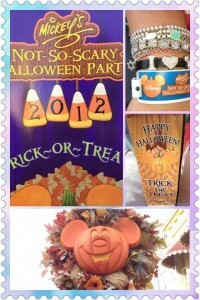 In addition to the Trick or Treat Spots there are two Trick-or-Treat Trails in the Magic Kingdom, which are themed and full of treats and special decorations for Mickey’s Not So Scary Halloween Party. 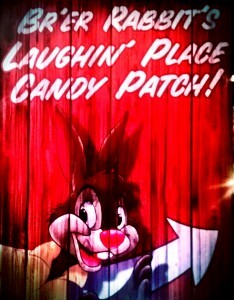 Br’er Rabbit’s Laughin’ Place Candy Patch is my favorite, because of all the carved pumpkins! 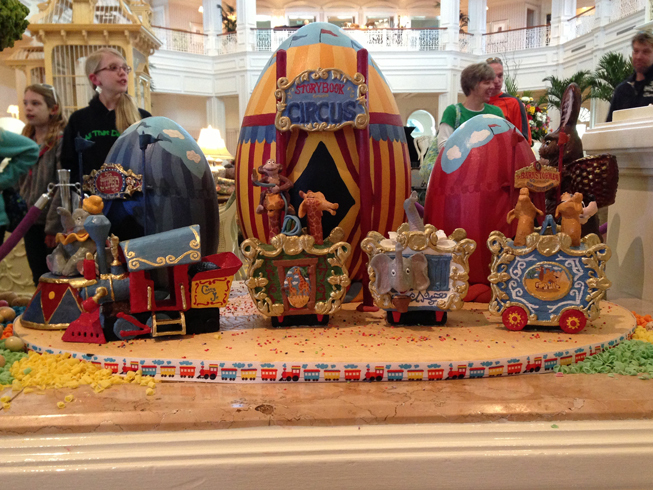 For this treat trail you will want to enter from The Barnstormer in Storybook Circus, and follow the path full of decorations from Alice in Wonderland. Entering from the Splash Mountain queue, you follow this winding trail full of carved pumpkins and treats for a whole lot of candy & fun. 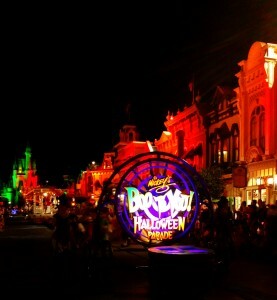 The Boo To You Parade, 8:15pm and 10:30pm, is by far my most absolute favorite part of the Mickey’s Not So Scary Halloween Party!!! 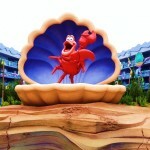 This parade is amazing and you will find yourself singing it’s song for the many months to come! 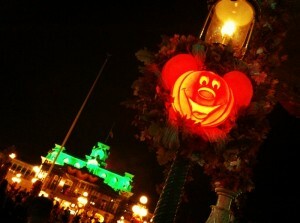 Mickey’s Not So Scary Halloween Party Boo To You Parade is a MUST DO!!! The parade kicks off with a ride from the Headless Horseman along the parade route. 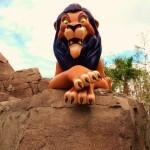 And while he used togo a lot faster, this ride is definitely one you aren’t going to want to miss! 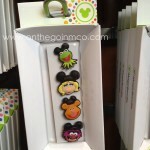 If you are watching the parade from Main Street you’ll be “Calling All The Monsters” in a Street Jam that takes place twice before the parade in front of the Art of Disney and at the Main Street Railroad Station. 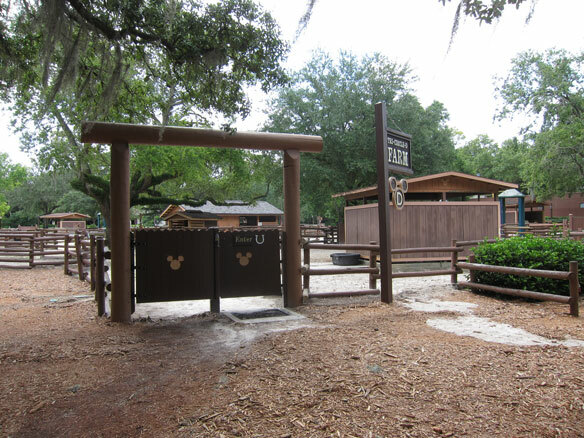 While this won’t be everyone’s favorite thing, if you are looking to avoid this Jam you will want to watch Boo To You from Frontierland. 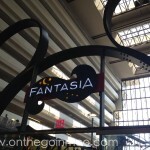 Once the Boo To You parade kicks off, you will understand why I love this parade so much! 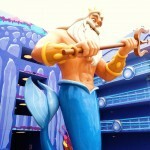 It is full of characters from the movies, shorts, and parks dancing along to a fun soundtrack on special floats. The Haunted Mansion and Cowboy sections of this parade are my favorite. 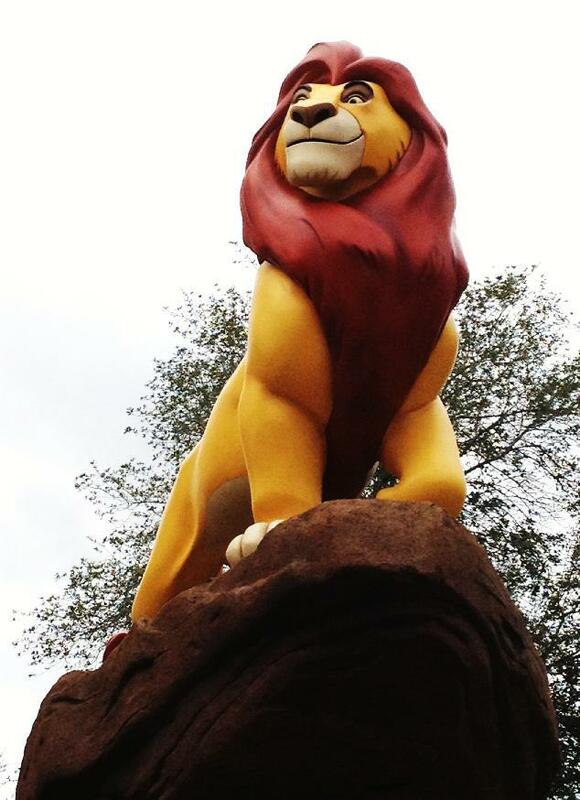 The parade starts next to Splash Mountain, and there are definite plusses and minuses to watching it from different locations, and my two favorite places to watch it from are near the Flag Pole on Main Street USA and the Shooting Gallery in Frontierland. If you chose to watch Boo To You from Main Street USA near the flagpole, your pictures will have the castle in the background which is always a bonus. 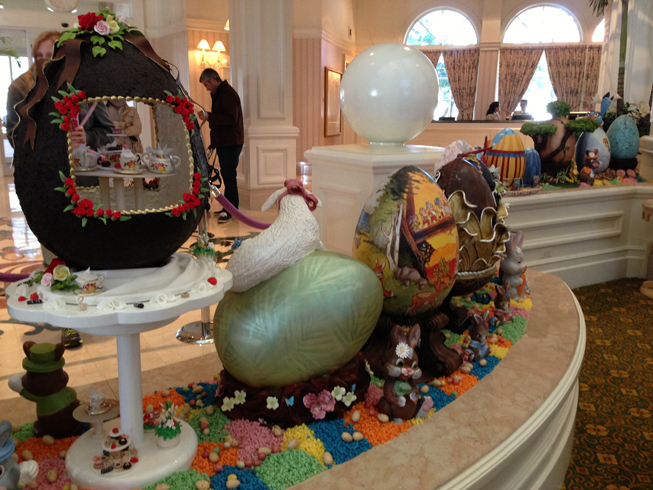 However, there are super bright parade lights on the top of the Confectionery that make shooting pictures and video difficult at times. Most people attending Mickey’s Not So Scary Halloween Party will line the streets of Main Street before heading to this section, and make sure you wait for the line to go out before claiming a spot. Boo To You from the Shooting Gallery in Frontierland is also an excellent spot, because you have great lighting, planters to sit on if your feet are tired, and extra entertainment since there is time to kill from the events going on in Main Street USA. The downside is that since the parade starts in this direction, people tend to line up super early and you will need to stake out a spot for great viewing sacrificing some party time. After watching the parade, we decided to ride The Haunted Mansion to take in the special features it has during Mickey’s Not So Scary Halloween Party. 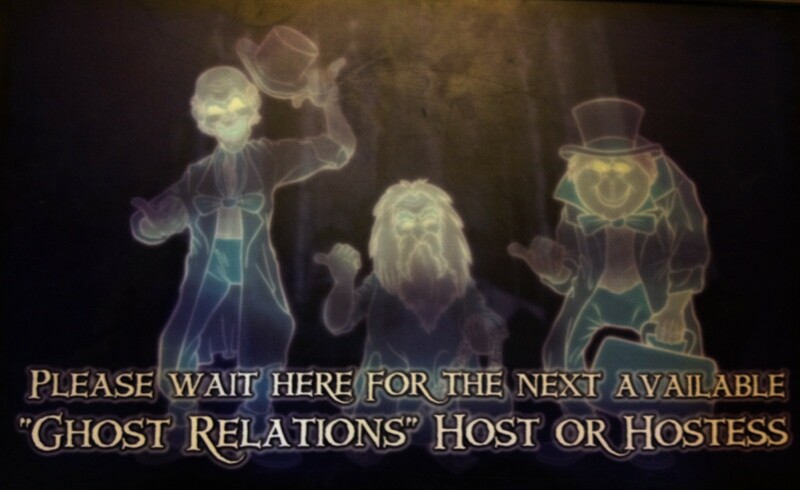 During the party, The Haunted Mansion Cast Members are decked out in their spookiest attire and you’ll find one on the 999 Happy Haunts is out on the lawn talking to guests. 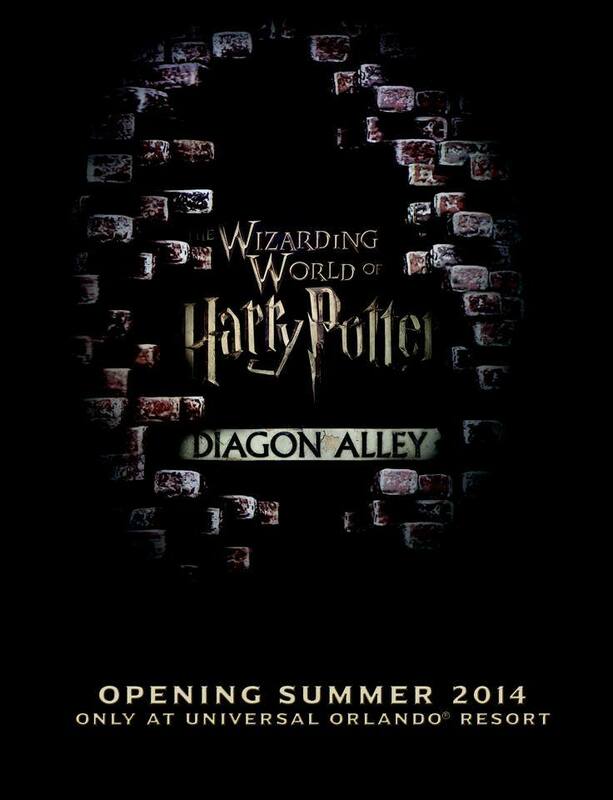 You definitely do not want to miss this attraction!!! If Dance Parties and Character Appearances are your thing, you won’t be disappointed during Mickey’s Not So Scary Halloween Party! There are two Dance Parties that let you take a break and shake off the sugar, while dancing with some of your favorite characters. Club 626 was bumpin’ earlier in the evening! 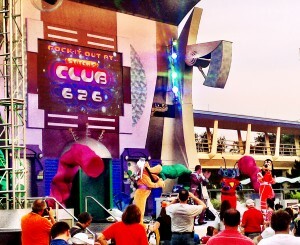 Rock-It Out…Stitch’s Club 626 at the Rockettower Plaza Stage in Tomorrowland. Woody’s Happy Harvest Roundup in The Diamond Horseshoe in Liberty Square. And for Mickey’s Not So Scary Halloween Party, you will find that your favorite Characters are in their Halloween finest and mingling among the guests in addition to their normal meet and greet areas in the park. 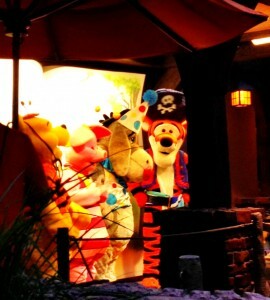 Pooh and Friends in their Halloween finest for Mickey’s Not So Scary Halloween Party. 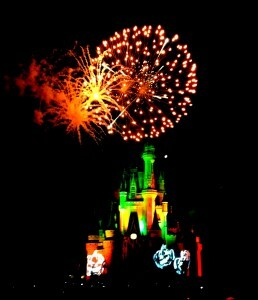 Then it was time for the best fireworks… Happy Hallowishes!, which begins at 9:30pm. 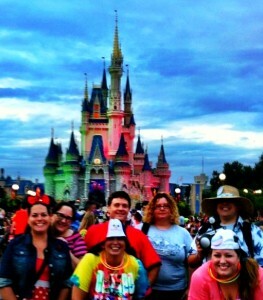 The night sky lights up around Cinderella Castle for this 180° fireworks extravaganza! You will want to make sure that you are watching these with a castle view. 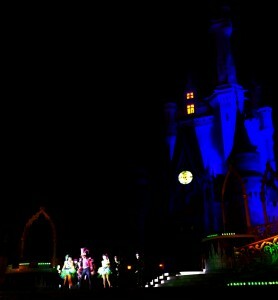 If you choose to watch Happy Hallowishes from the Hub area, you will feel immersed in the show! 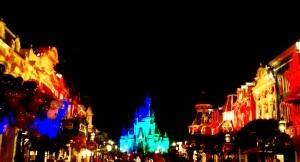 But if you go further back on Main Street USA, you won’t be as crowded in and will be able to better see the whole show. Either way, you can’t lose! 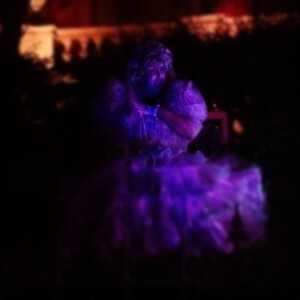 After some speed Trick-Or-Treating, we decided to hit the last show of the Villains’ Dance Mix & Mingle, 7:45pm, 8:50pm, 10:05pm, and 11:15pm, in front of Cinderella Castle. This high energy show features some of your favorite villains breaking it down and getting funky. It’s a lot of fun to watch! 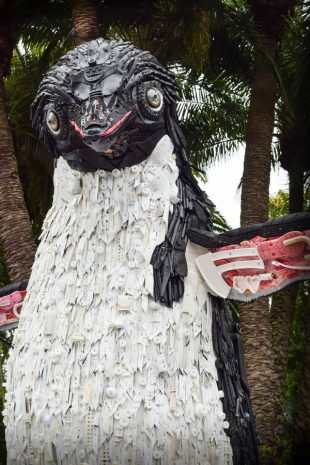 And make sure that you take out those candy bags one last time before you exit the park, because outside the turnstiles there is one last Trick-Or-Treat location with Cast Members handing out Halloween Peeps. 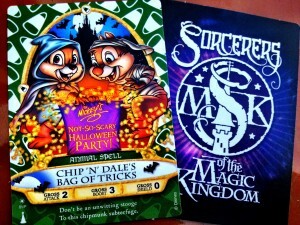 And that was our night at Mickey’s Not So Scary Halloween Party! It was an amazing night with amazing friends, and I hope that you will be able to use this information to make your Mickey’s Not So Scary Halloween Party a blast!!! 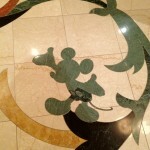 The other night I was wandering around the lobby at Disney’s Grand Floridian Resort, and as I was listening to the band play I stumbled upon something that I had never seemed to notice before. 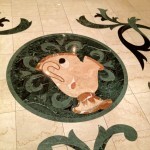 As I was admiring the amazing tiles that can be found in the Grand Floridian’s Lobby, I looked a little closer and noticed something for the first time. 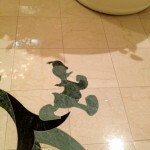 Hidden in the marble and stone floors of the resort were some of my most favorite characters. 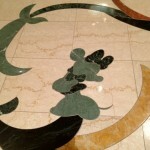 At first I only noticed the silhouettes of Mickey, Minnie, Donald, Goofy and Pluto in the entry of the lobby. 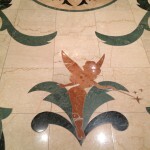 But as I was about to head out to my car, a friendly Grand Floridian cast member, who had seen me admiring the floor of the lobby, asked me if I had seen the other characters around the lobby. 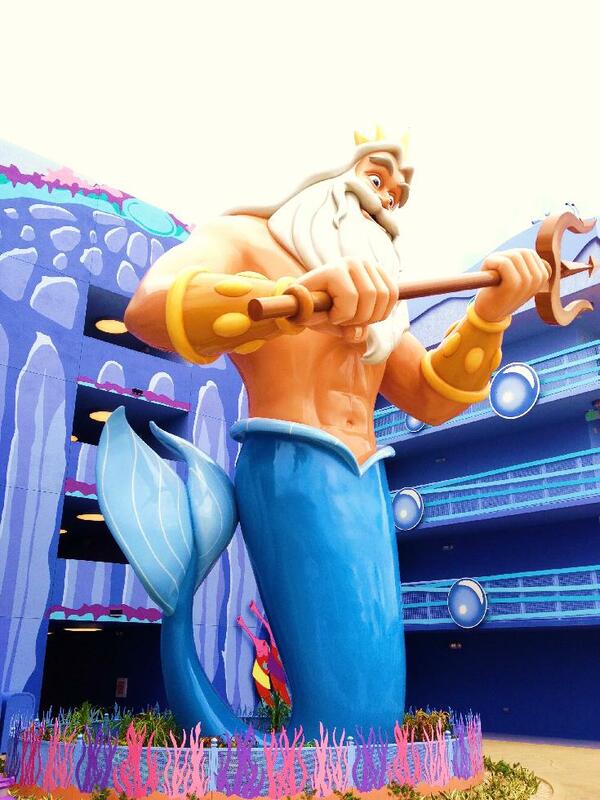 And when I said that I hadn’t seen any of the other characters, he gave me a detailed tour of the lobby and made sure that I saw all the other hidden characters. 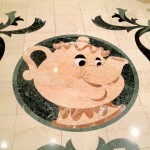 Also hidden in the lobby were Tinkerbell, Mrs. Potts, Chip, Peter Pan and Cinderella dancing at the Ball. 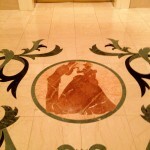 One of my favorite details can be found just above where you find Cinderella at the ball. 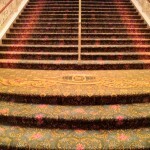 If you go up the staircase, you will find in the carpet that Cinderella’s Carriage is waiting to whisk her home from her night. 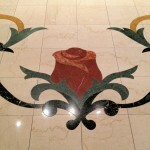 I was amazed that even after all the times, and the countless times that I had walked through the lobby of the Grand Floridan, that I had never seen these hidden gems. 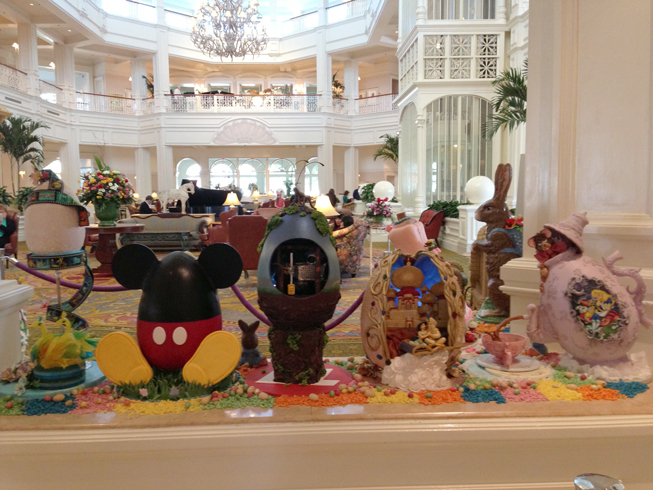 It was a great way to explore the Grand Floridian in a way that I hadn’t done before, and now I can’t wait to explore other resorts to see if I can find other hidden characters and gems!